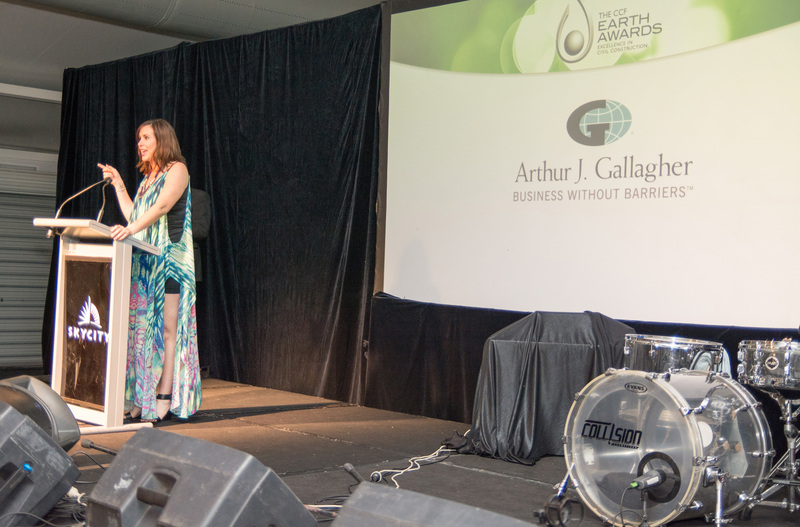 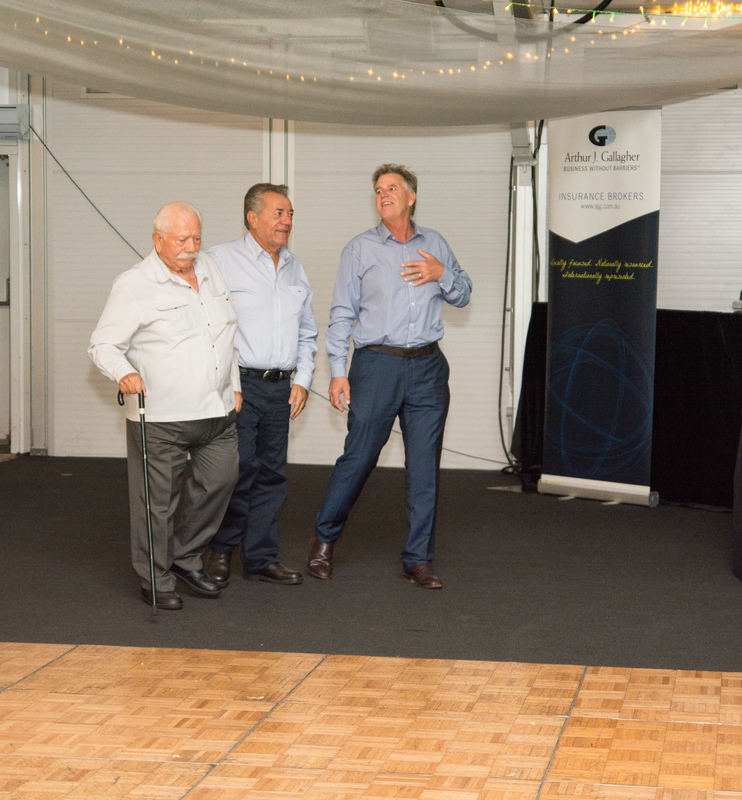 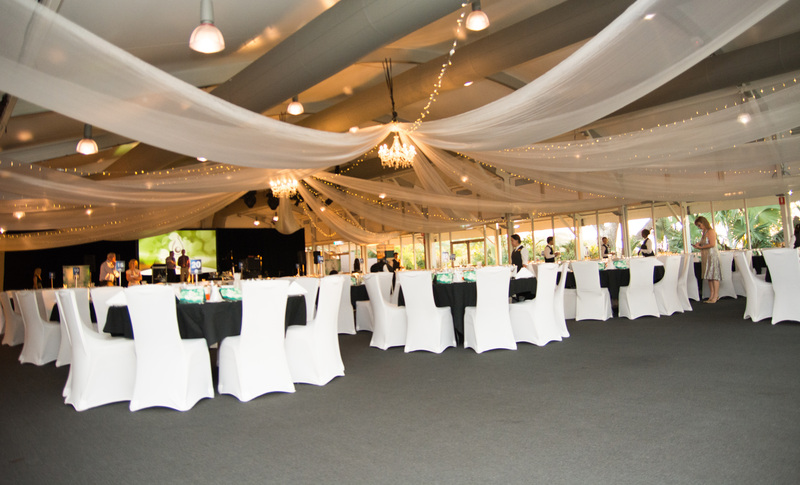 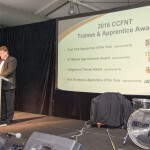 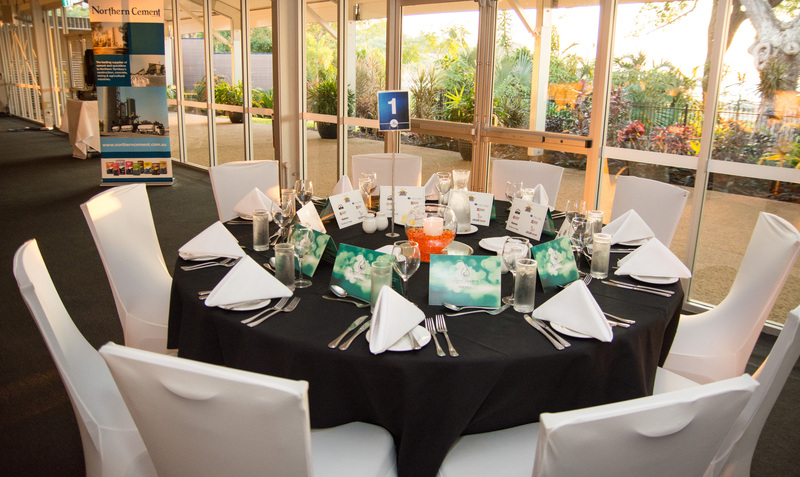 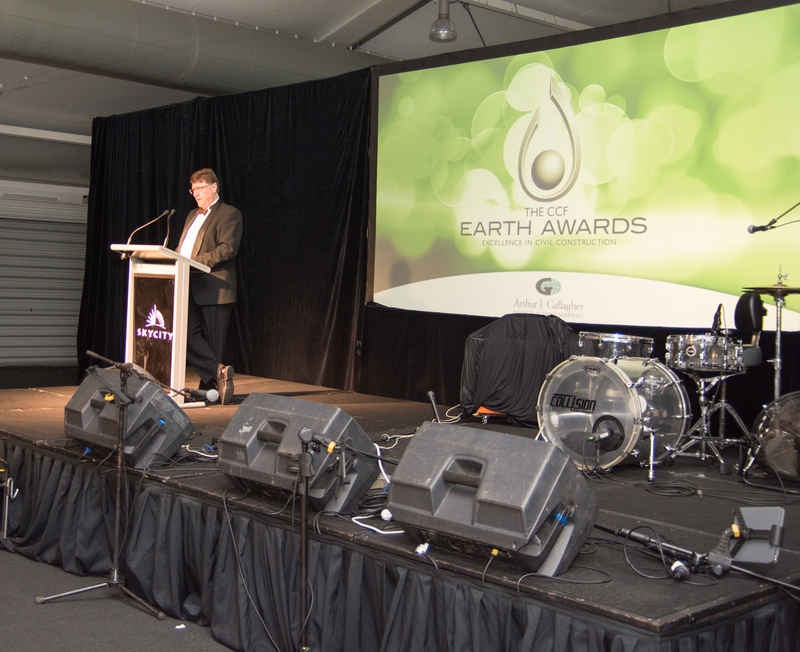 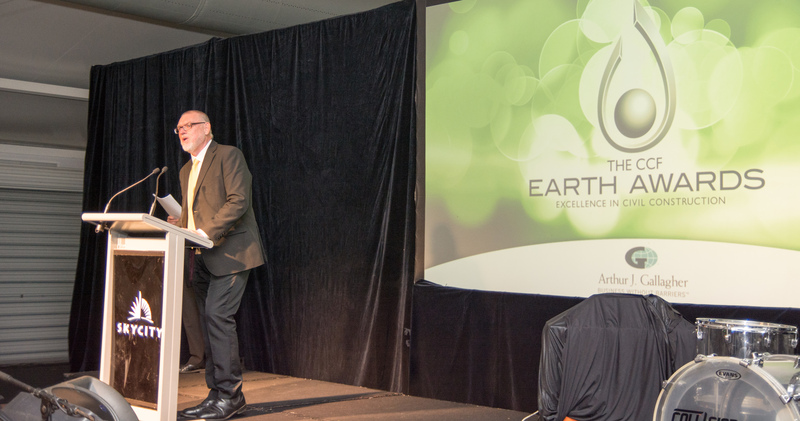 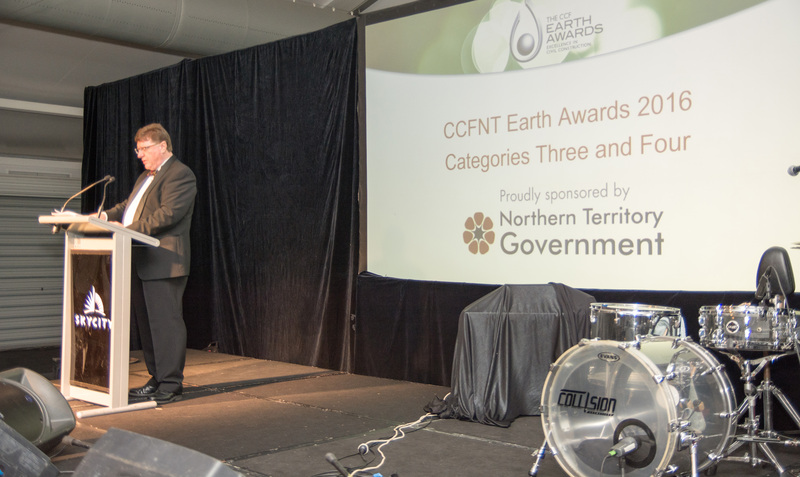 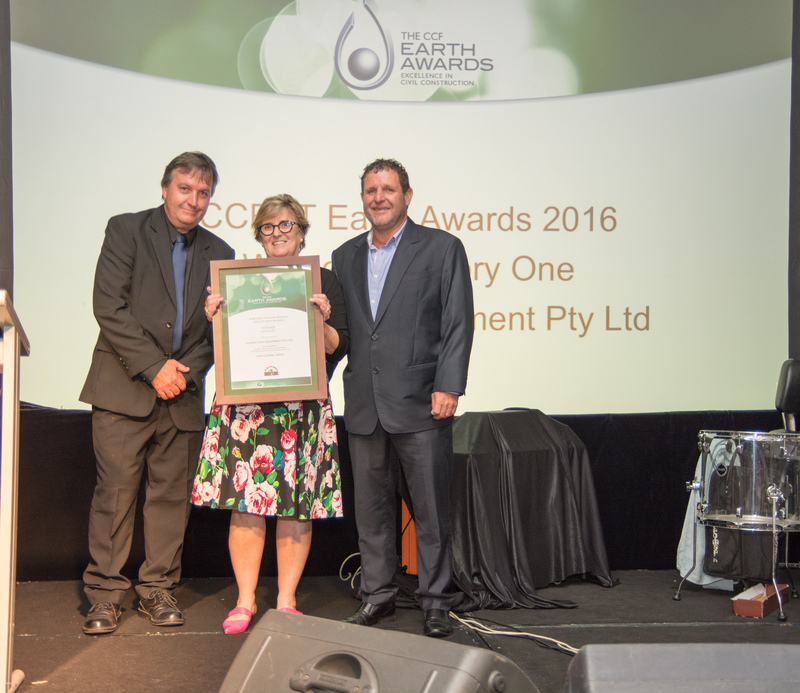 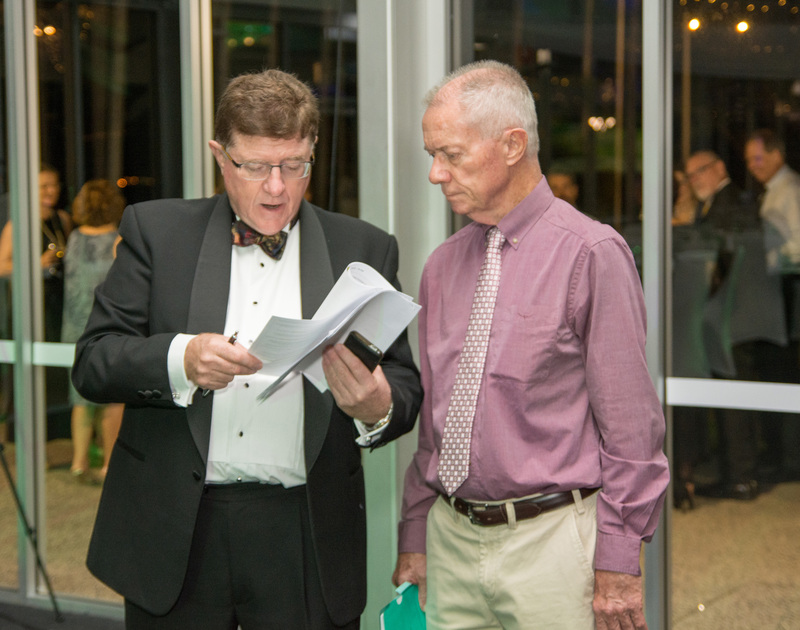 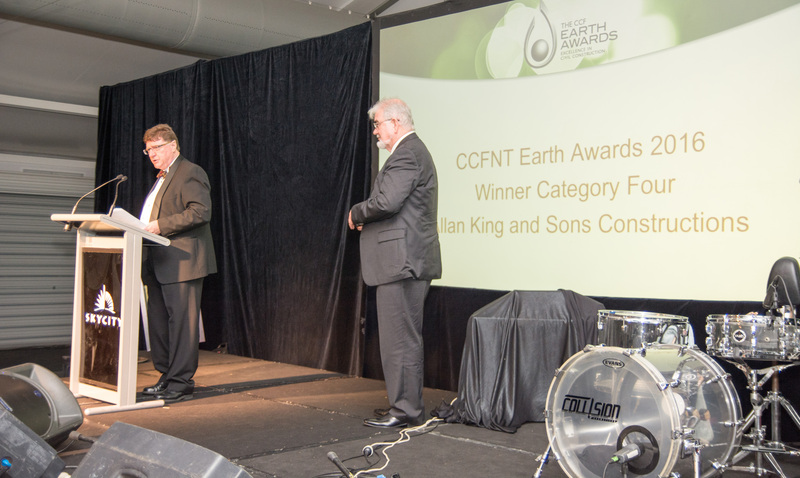 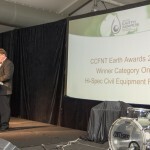 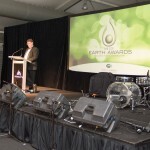 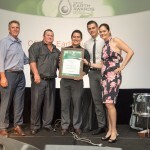 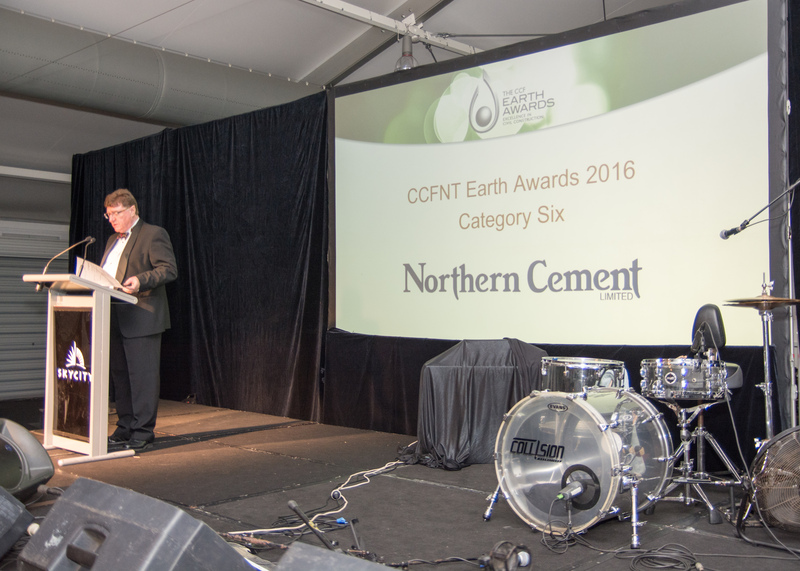 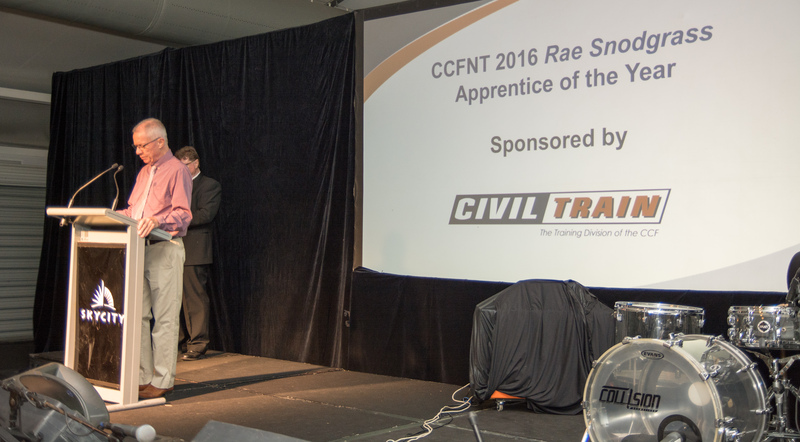 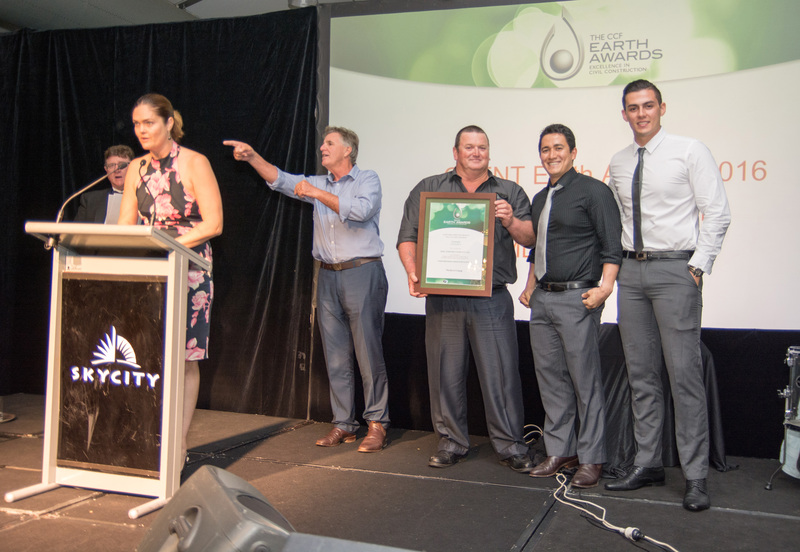 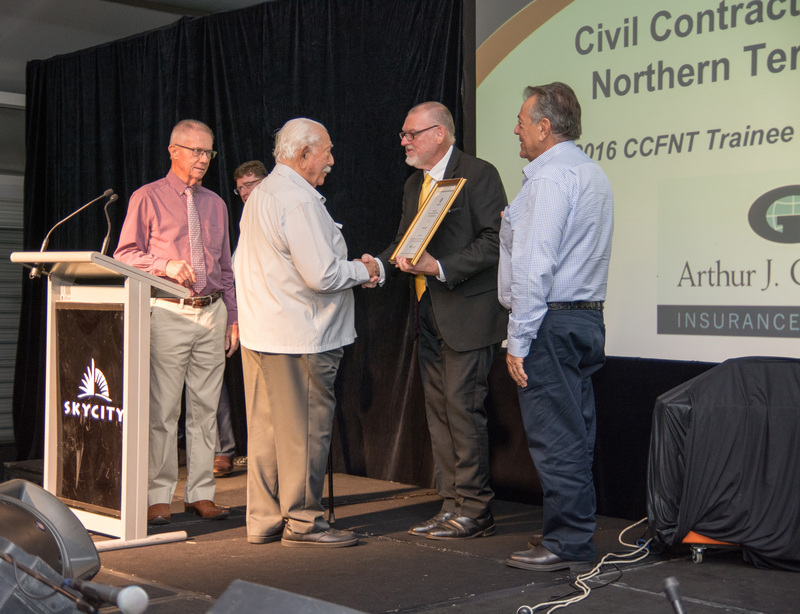 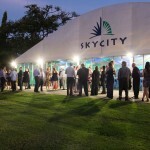 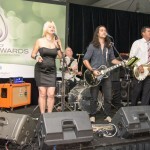 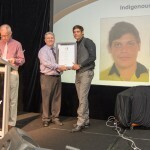 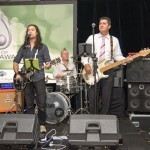 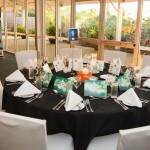 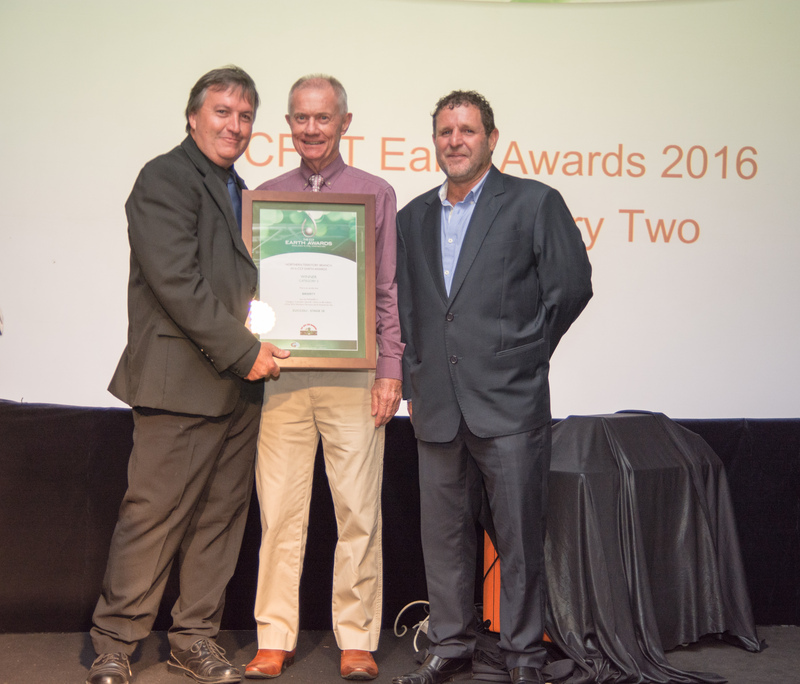 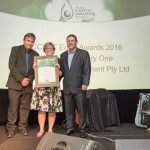 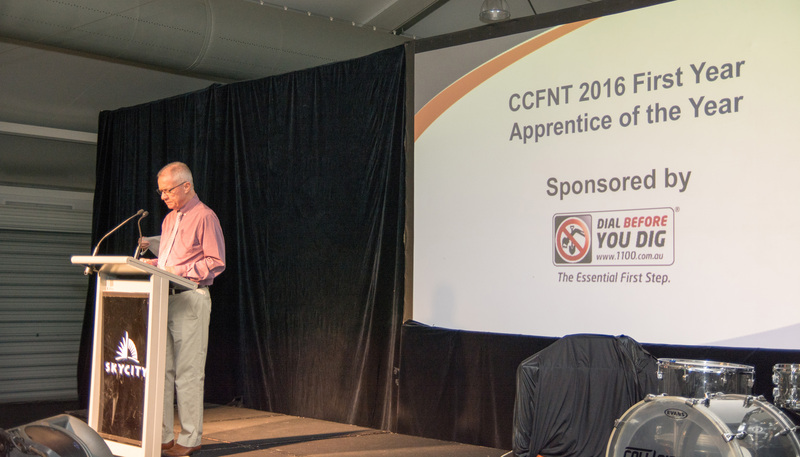 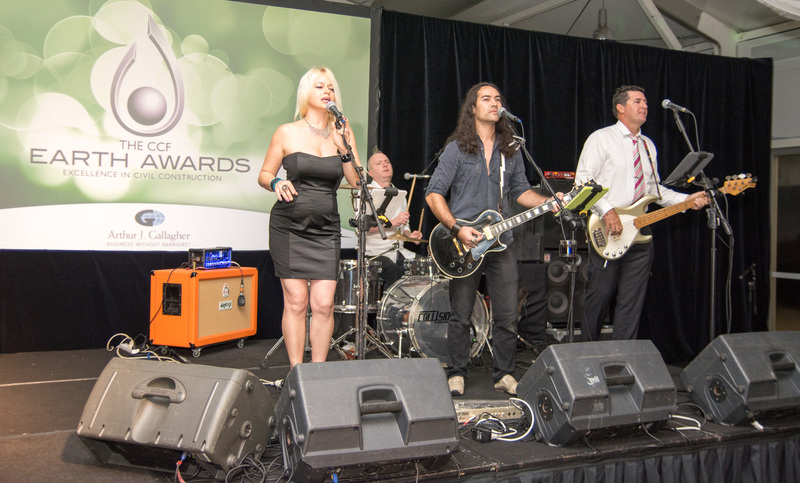 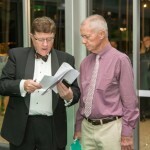 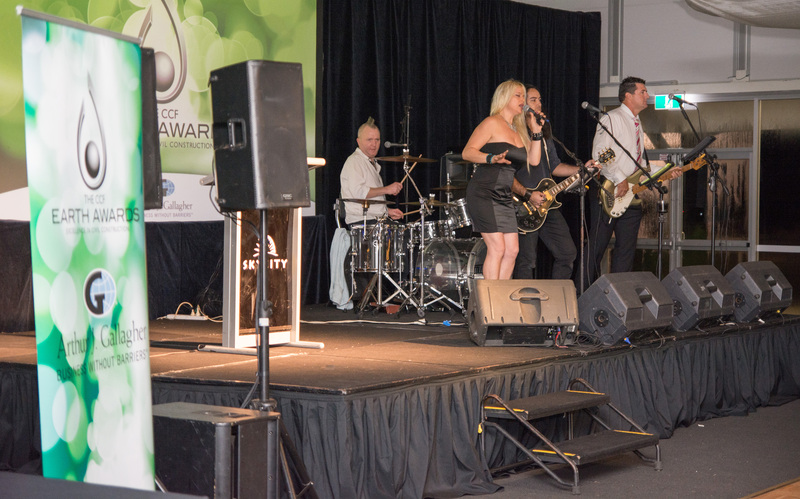 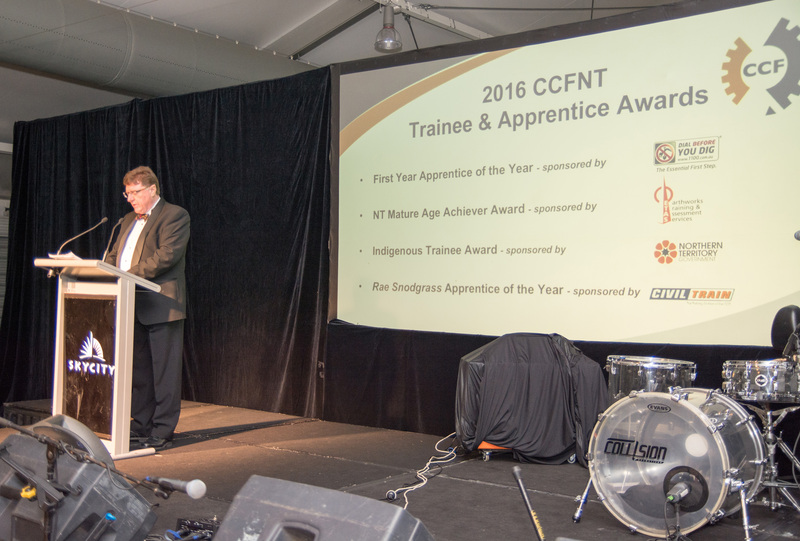 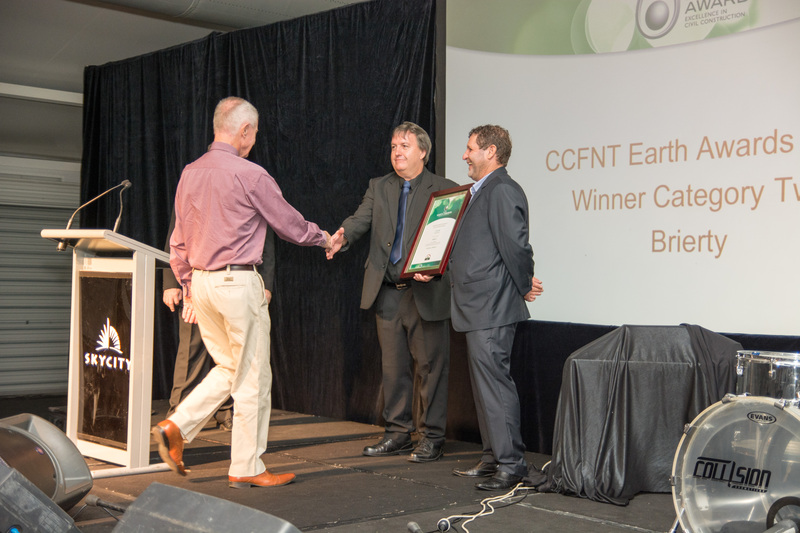 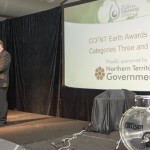 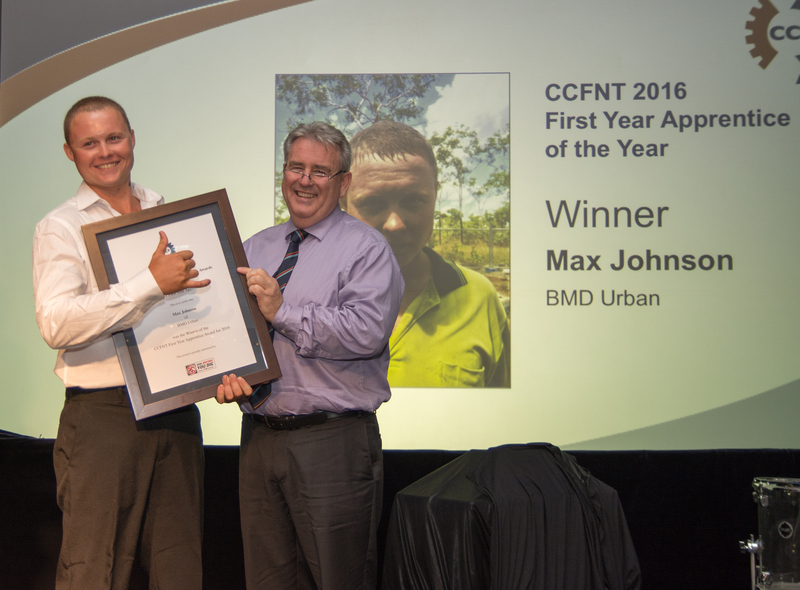 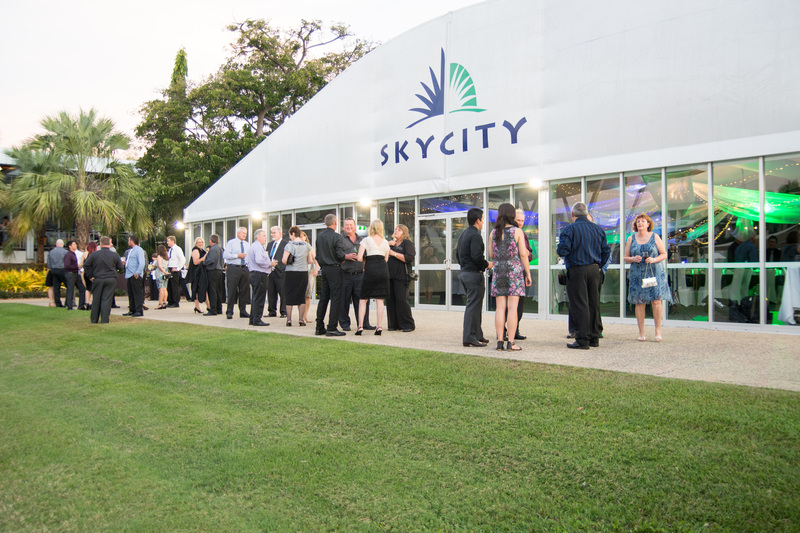 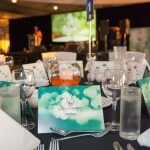 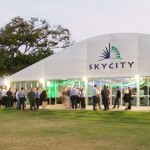 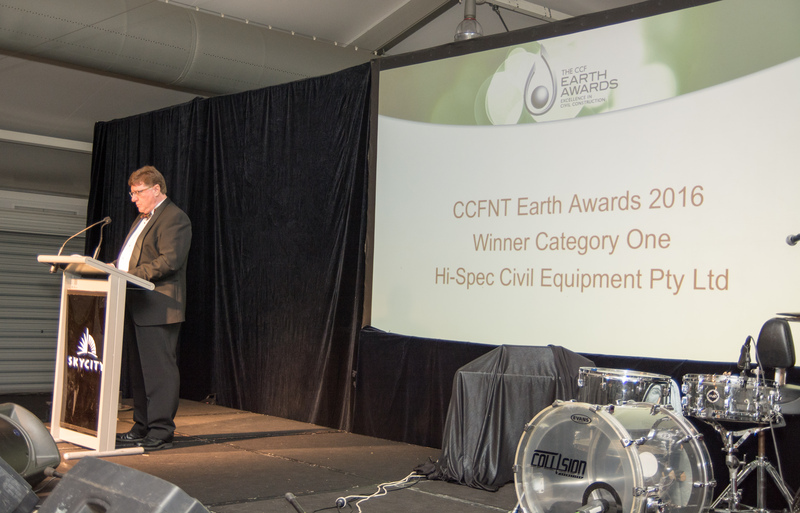 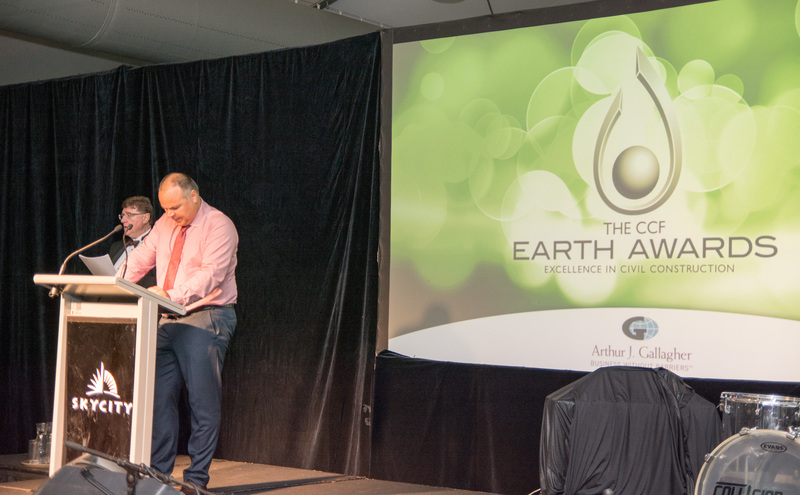 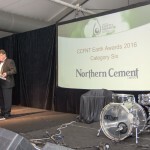 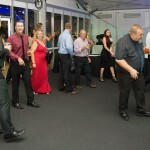 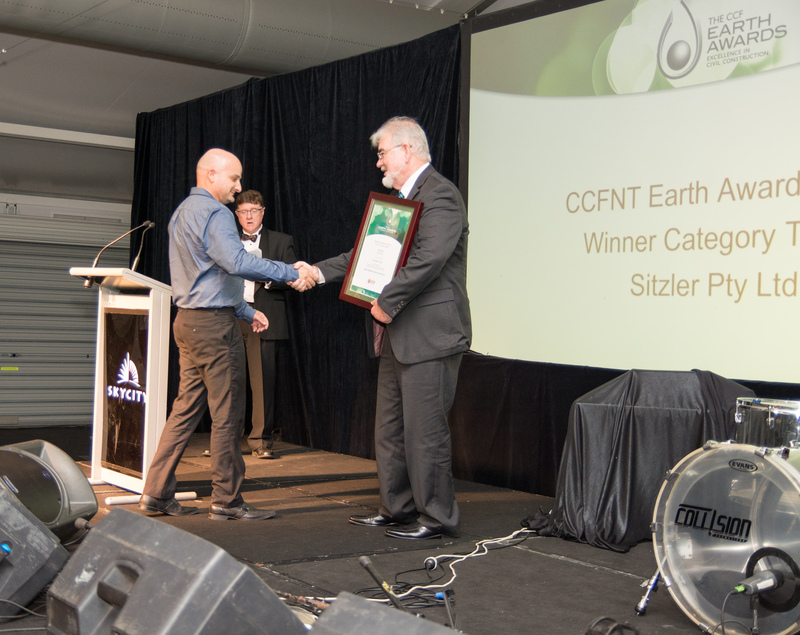 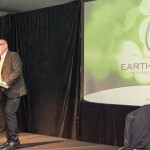 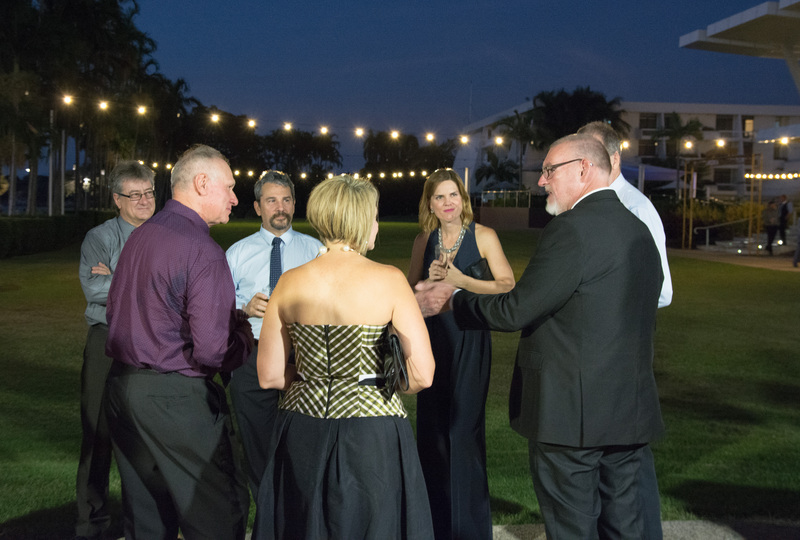 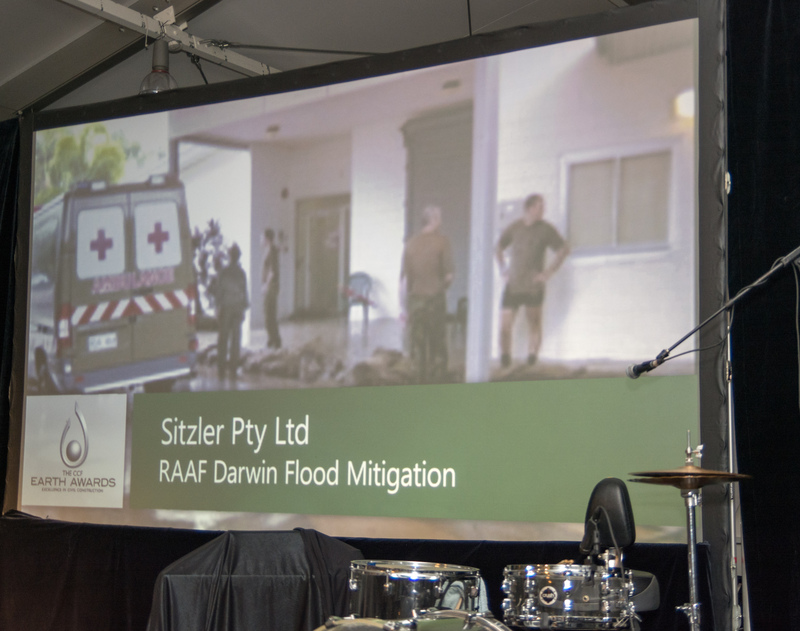 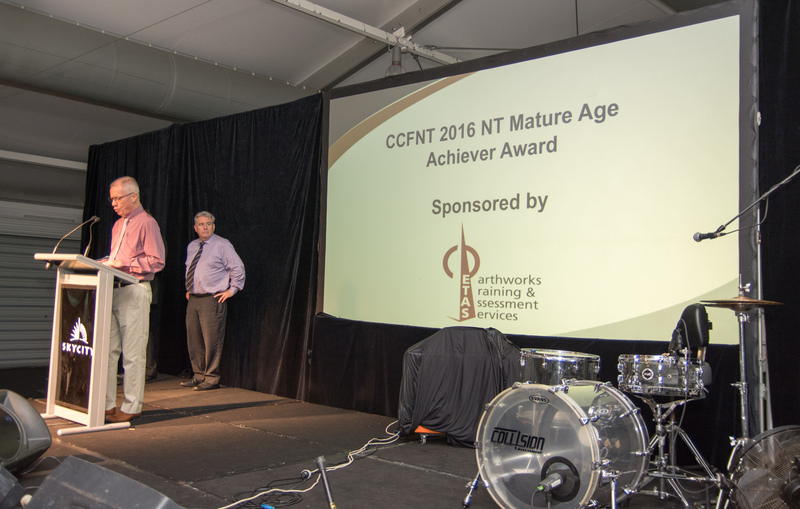 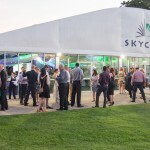 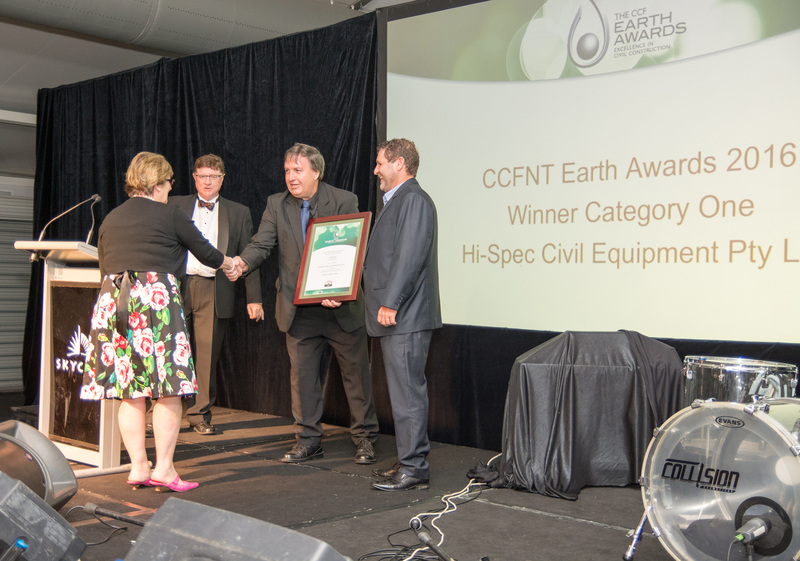 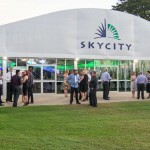 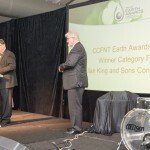 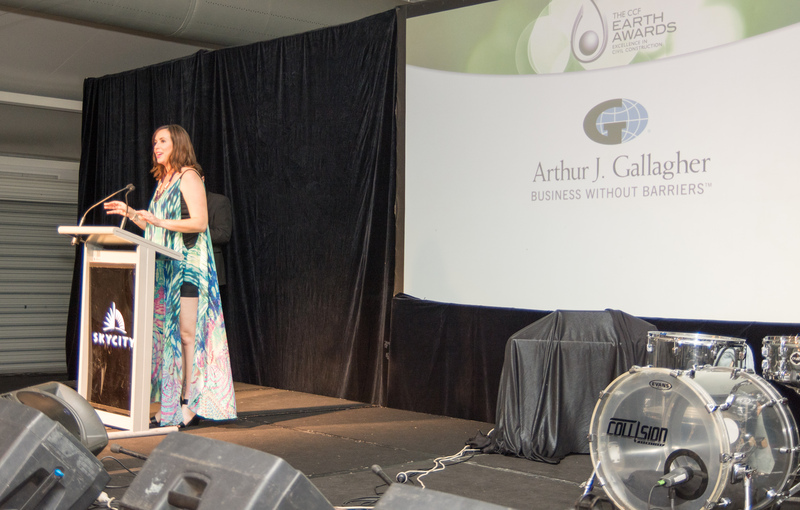 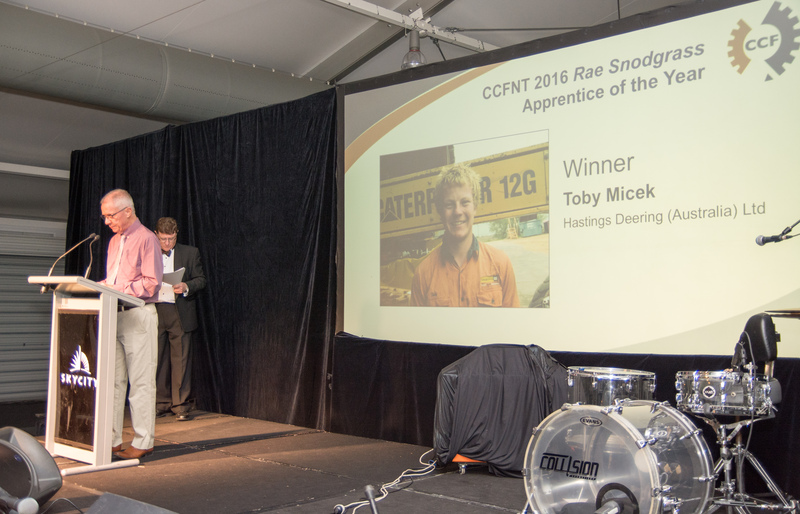 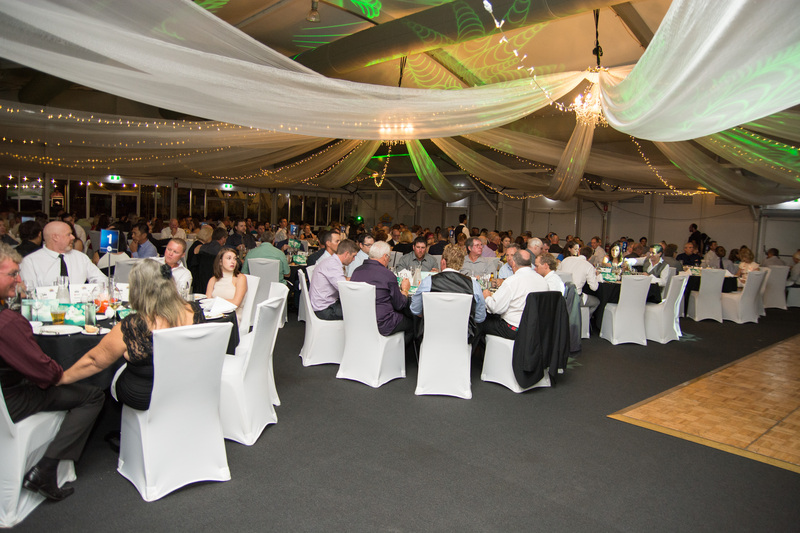 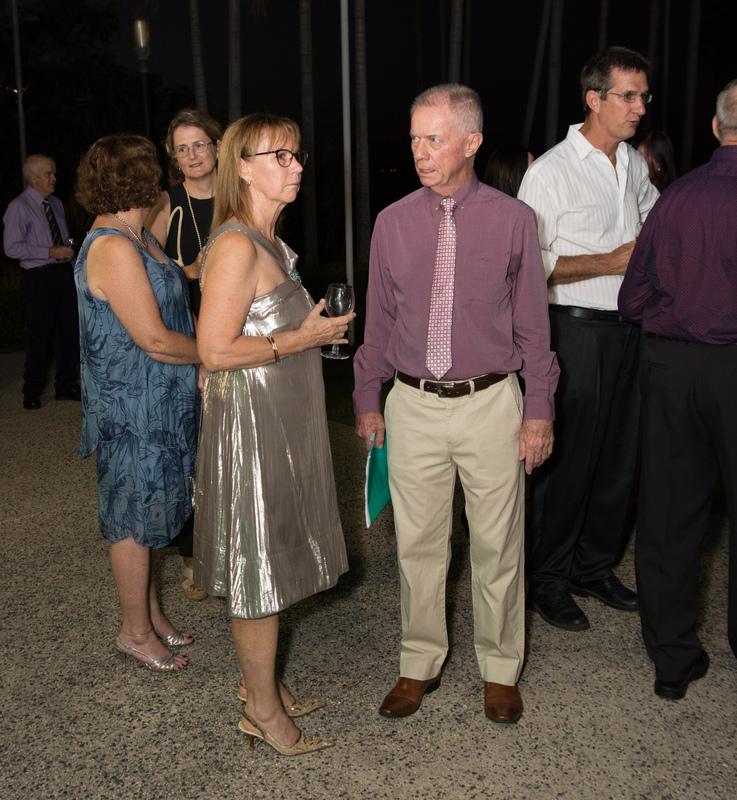 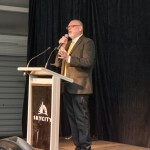 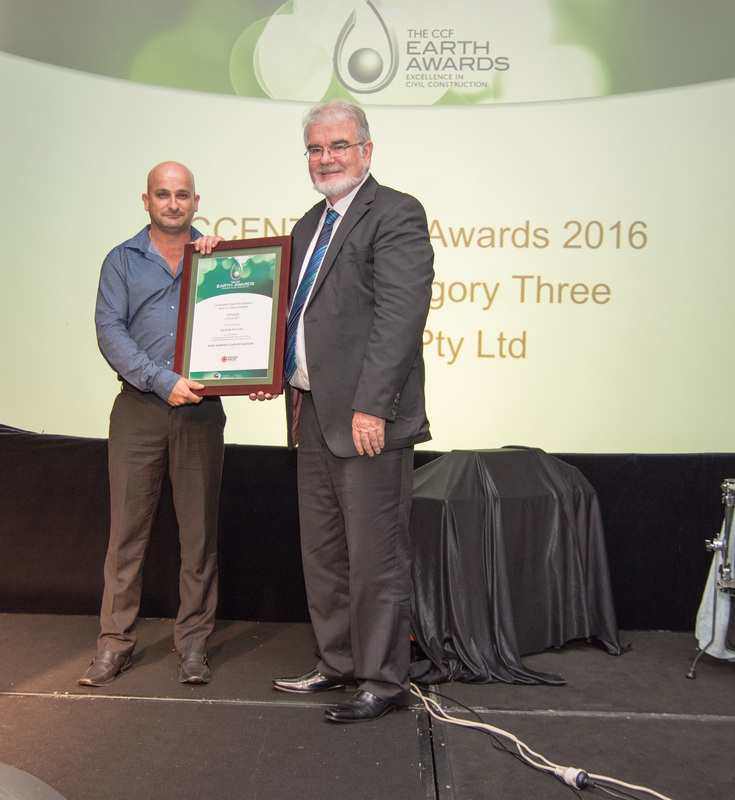 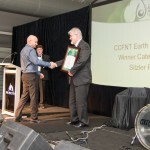 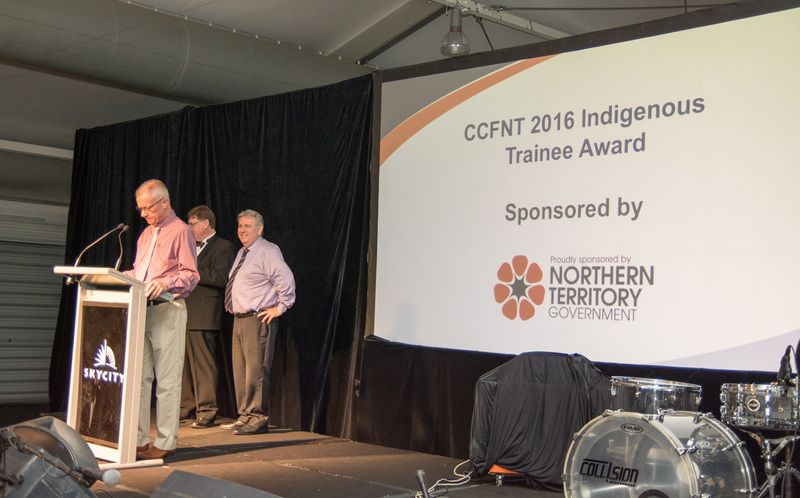 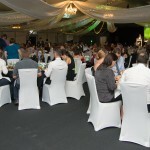 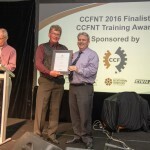 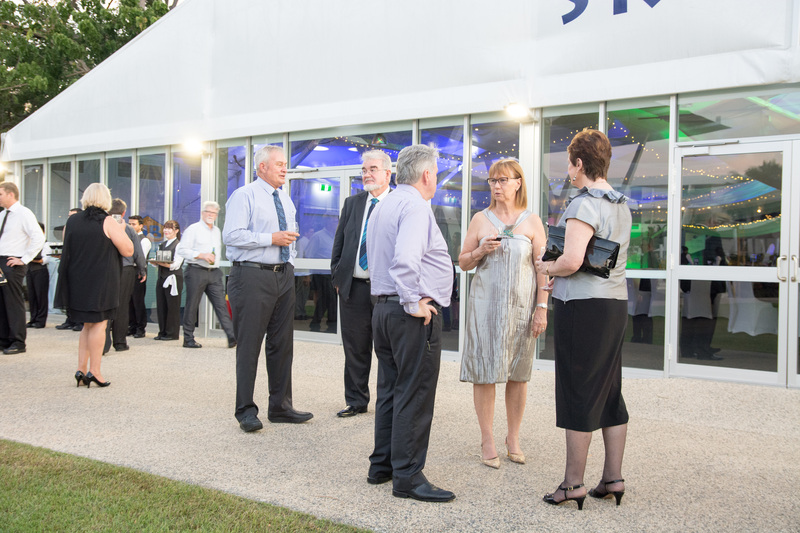 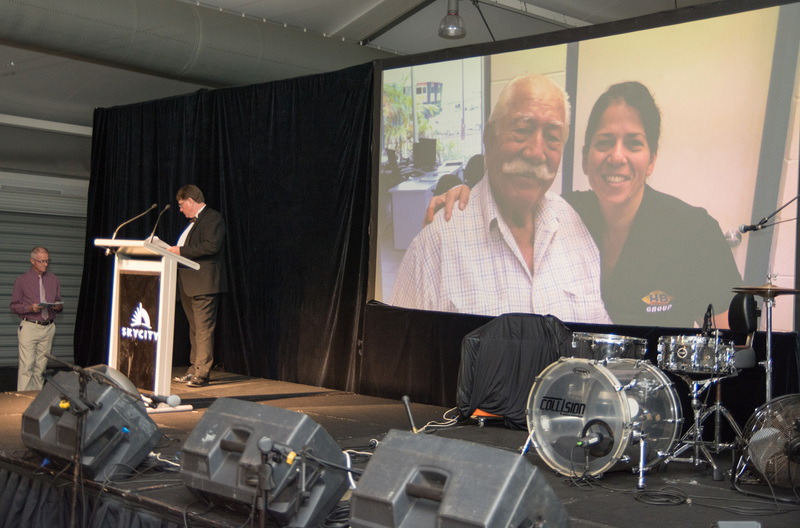 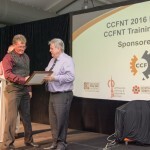 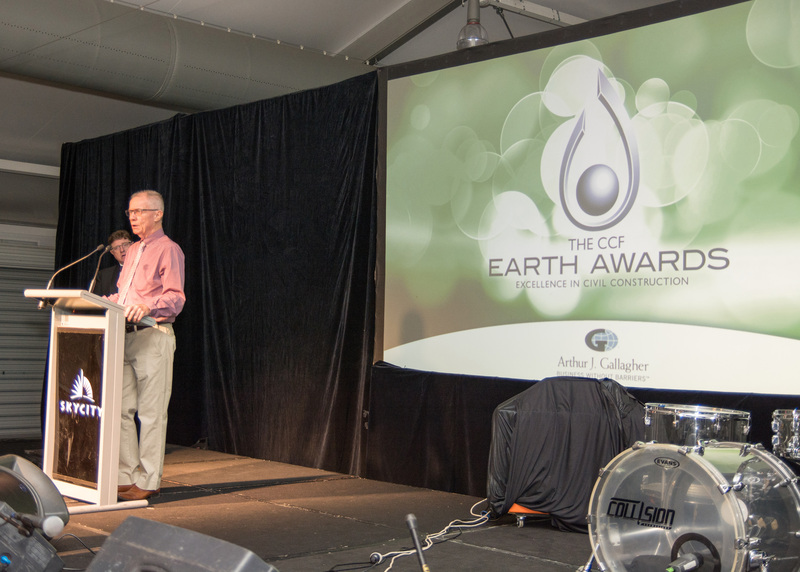 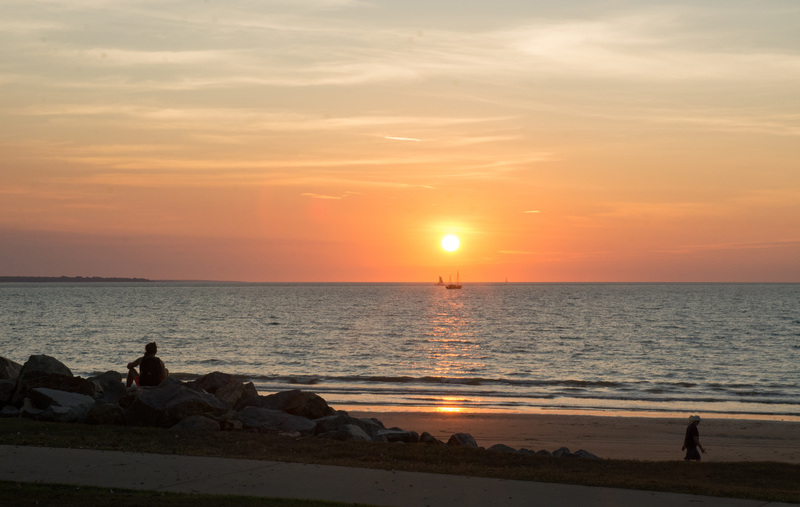 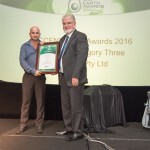 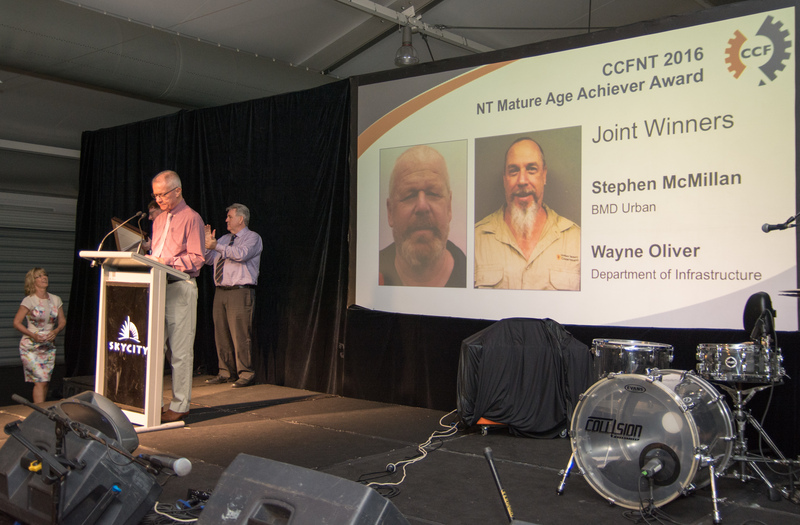 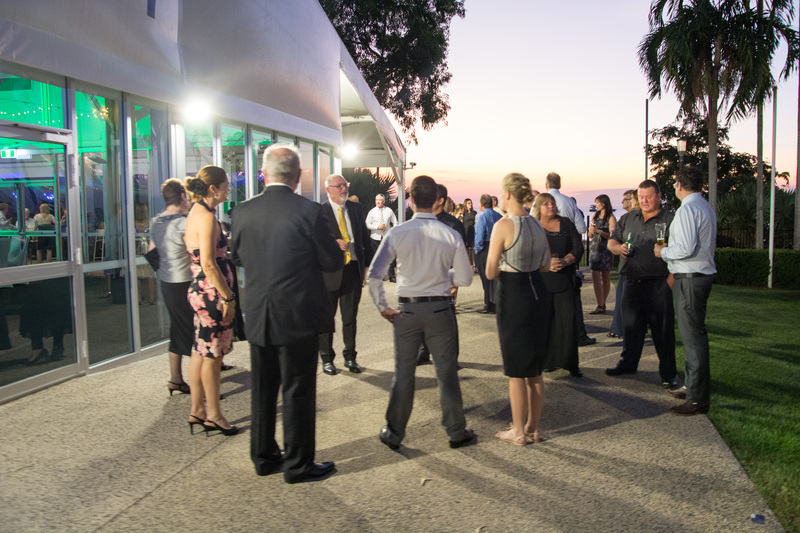 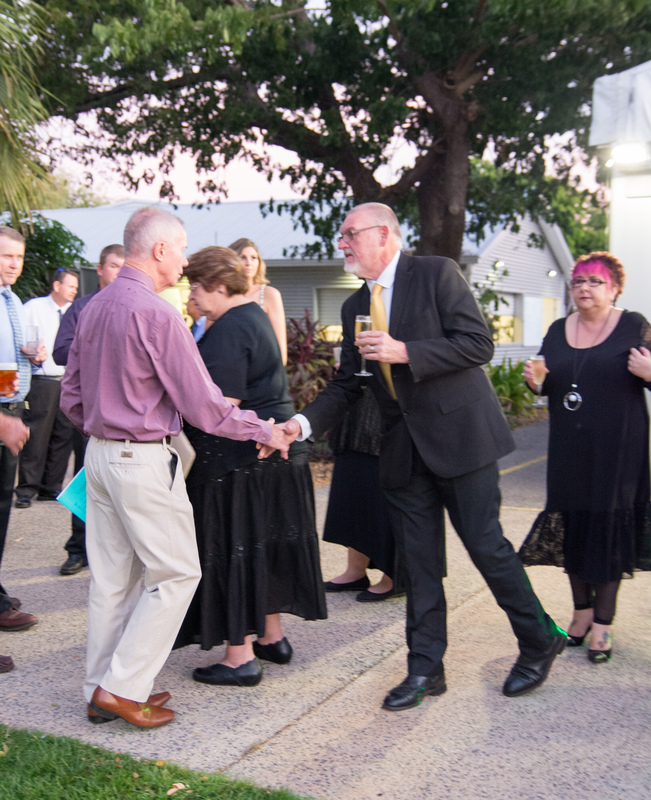 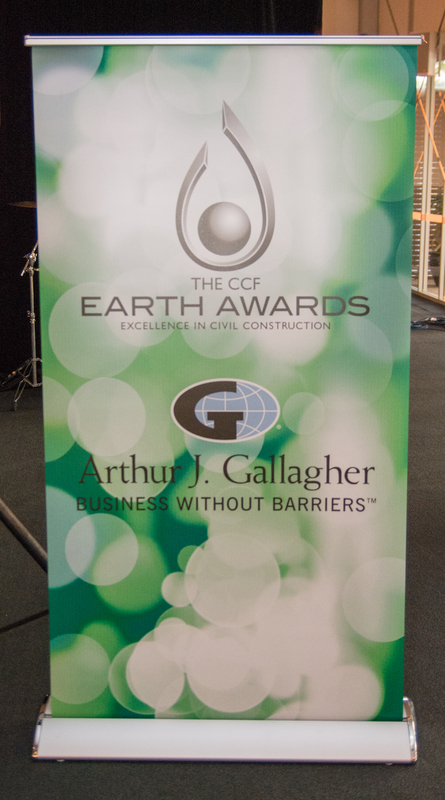 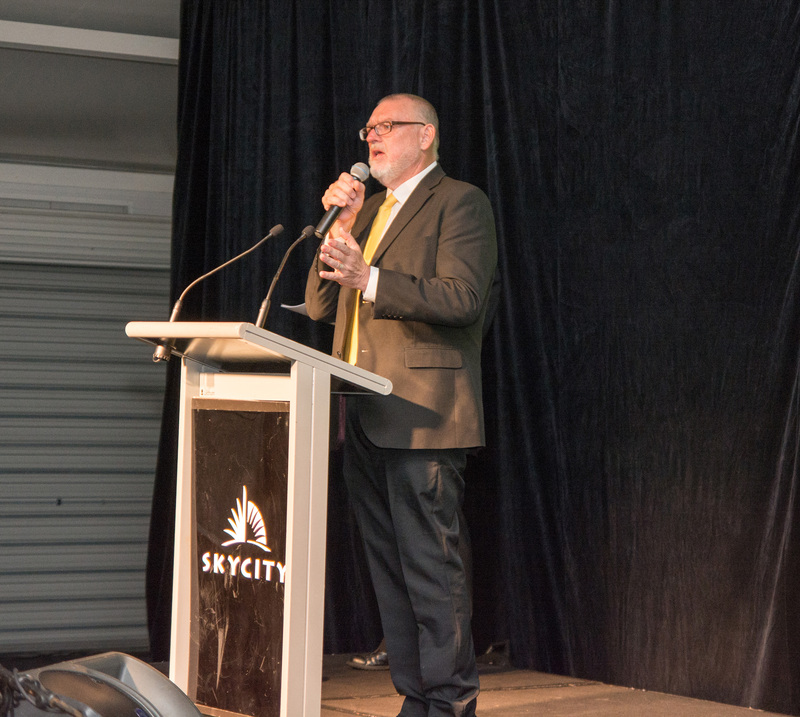 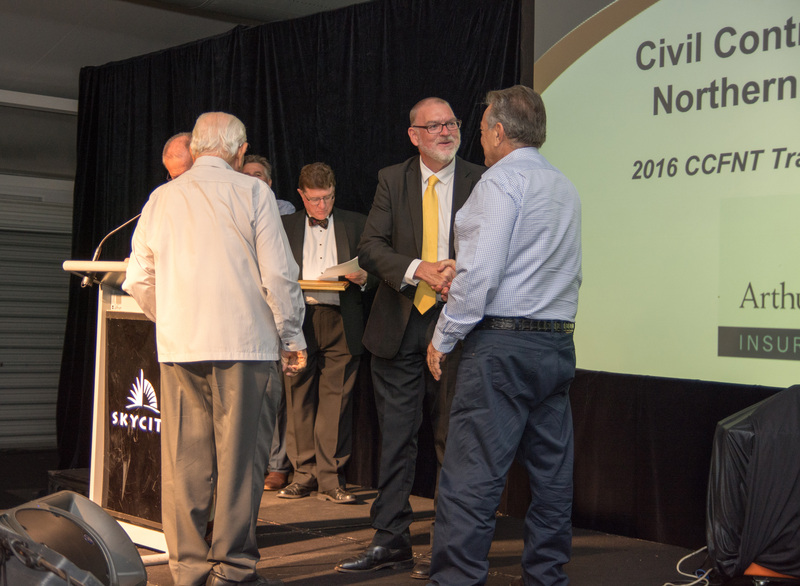 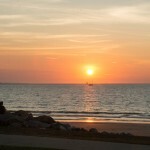 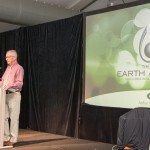 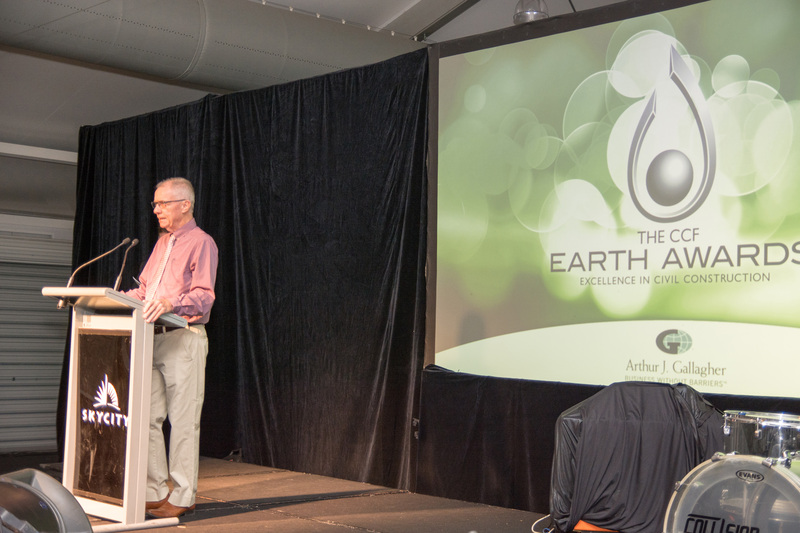 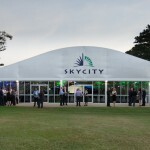 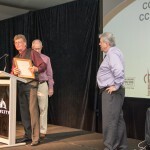 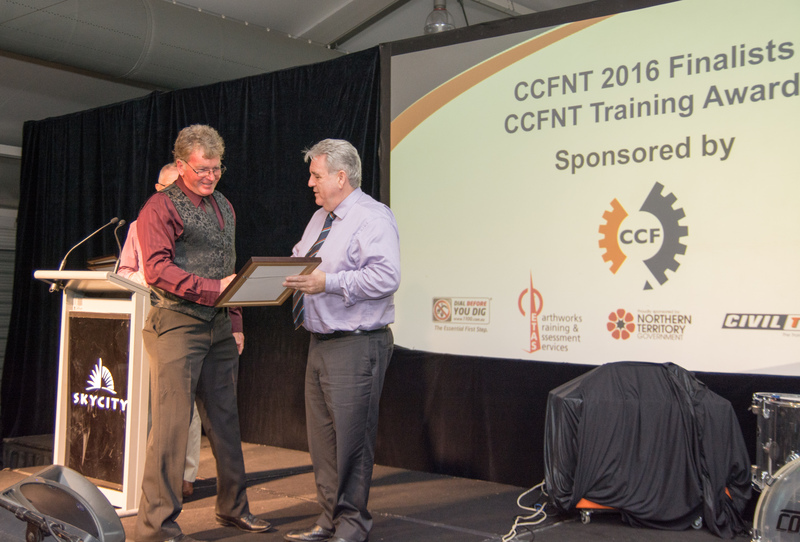 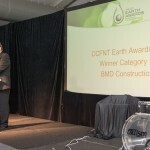 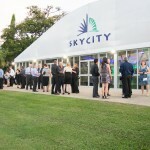 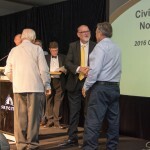 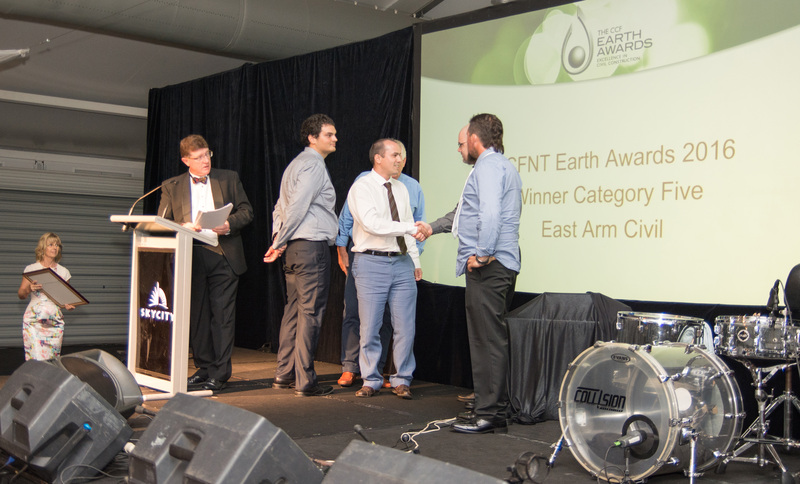 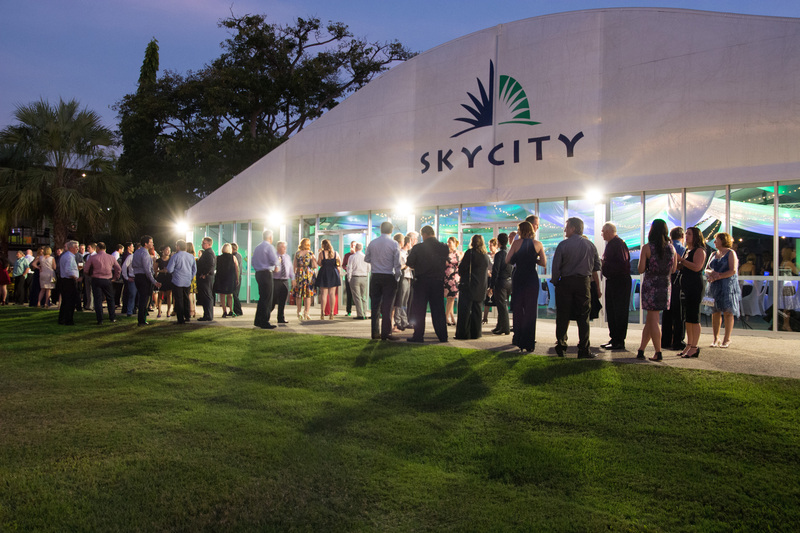 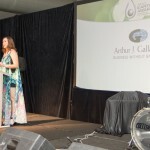 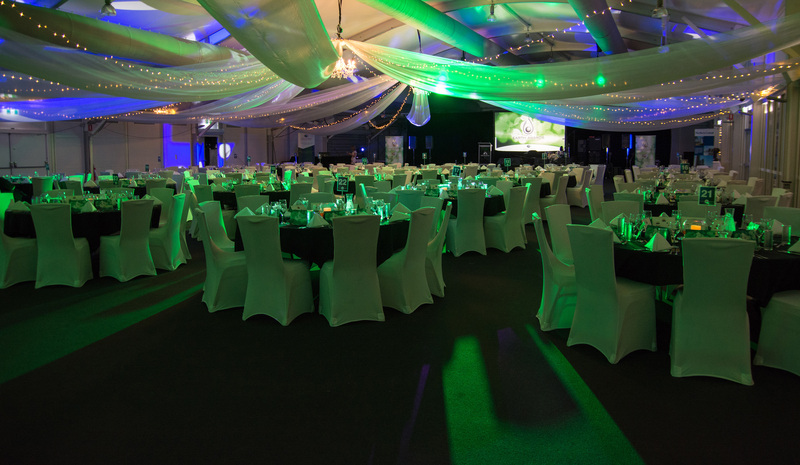 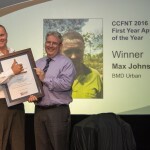 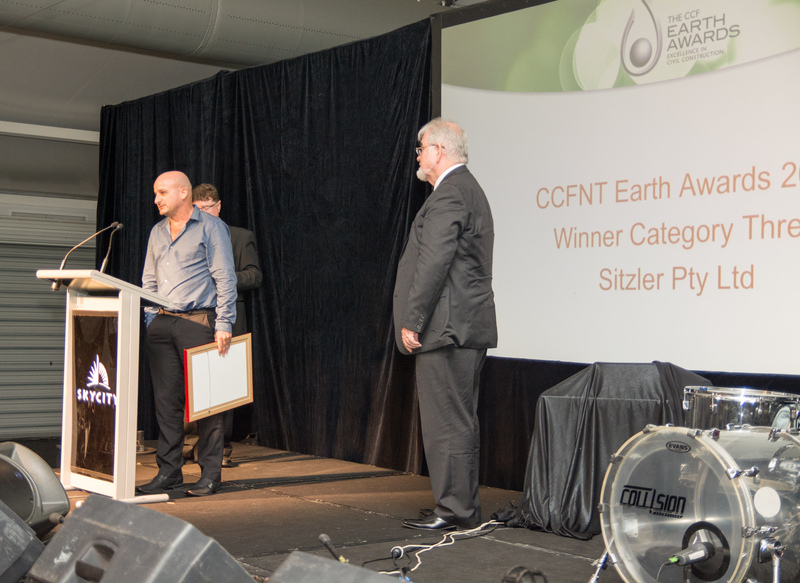 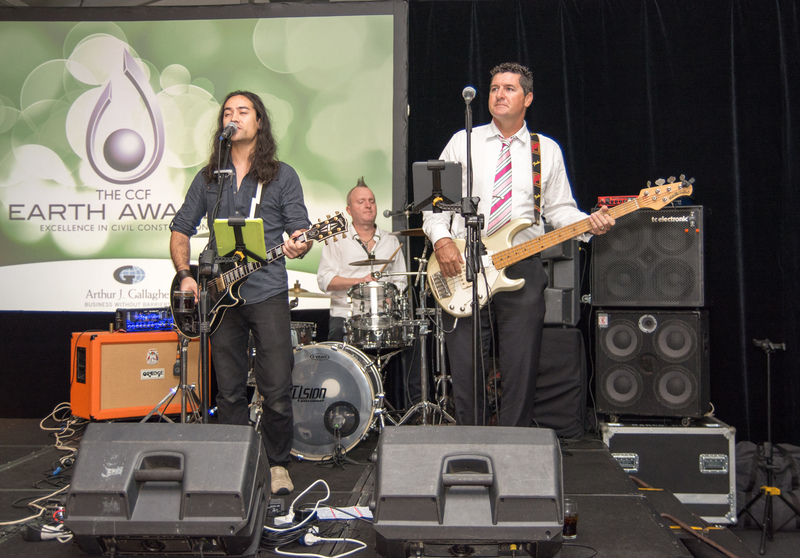 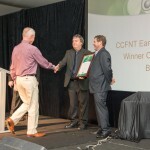 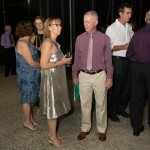 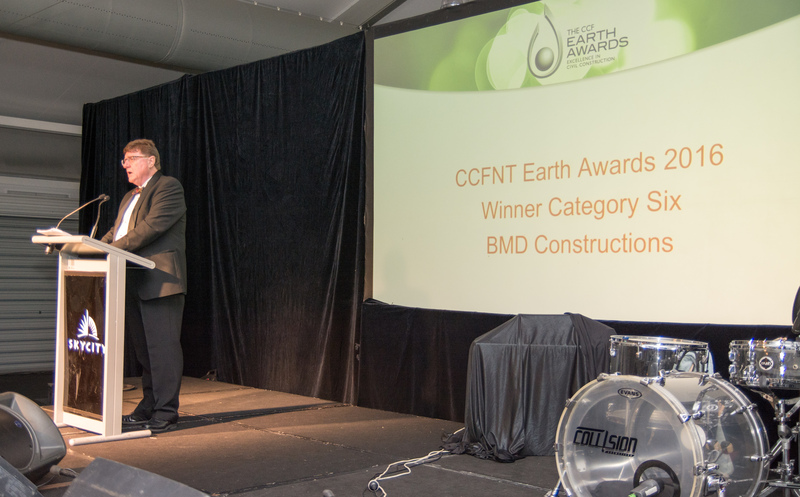 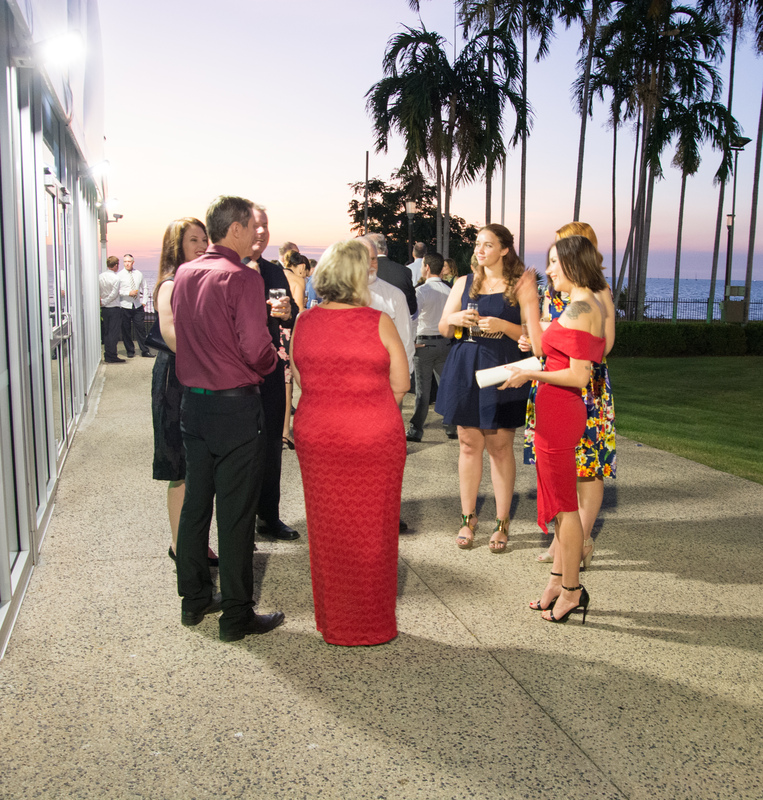 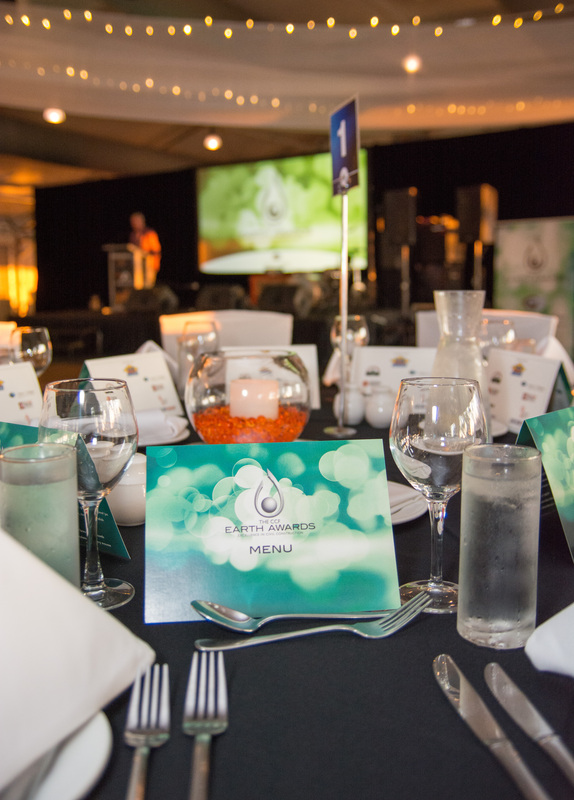 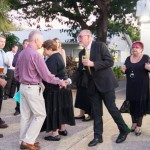 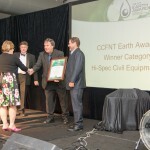 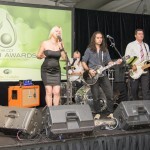 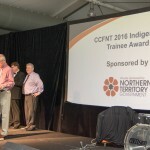 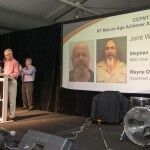 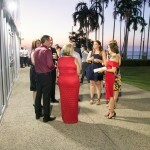 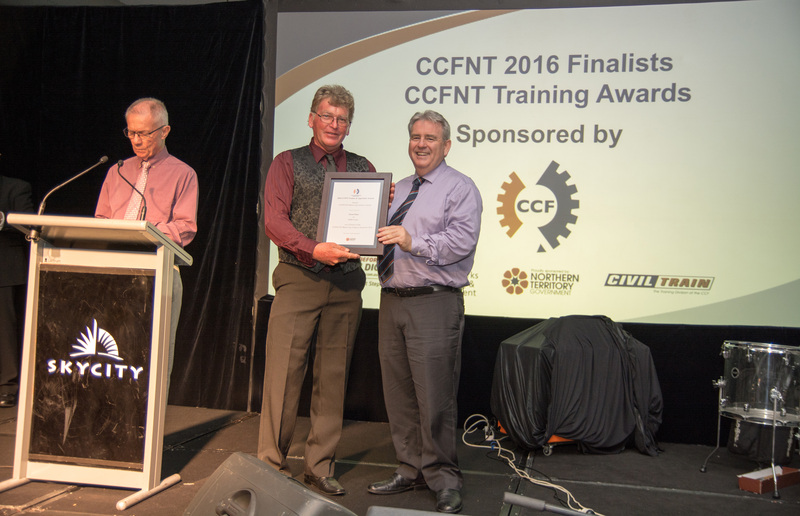 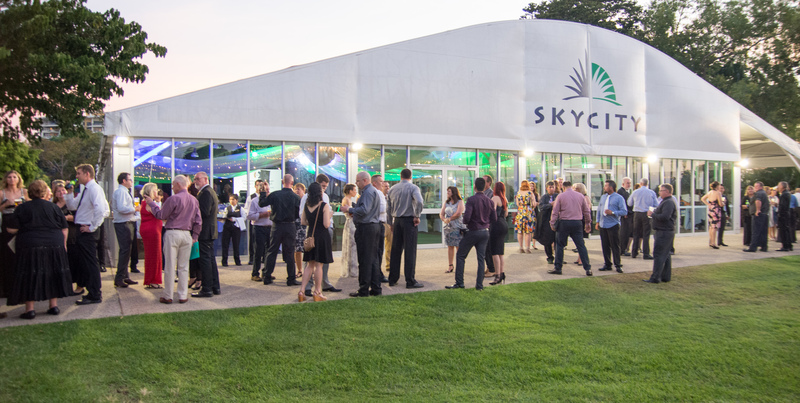 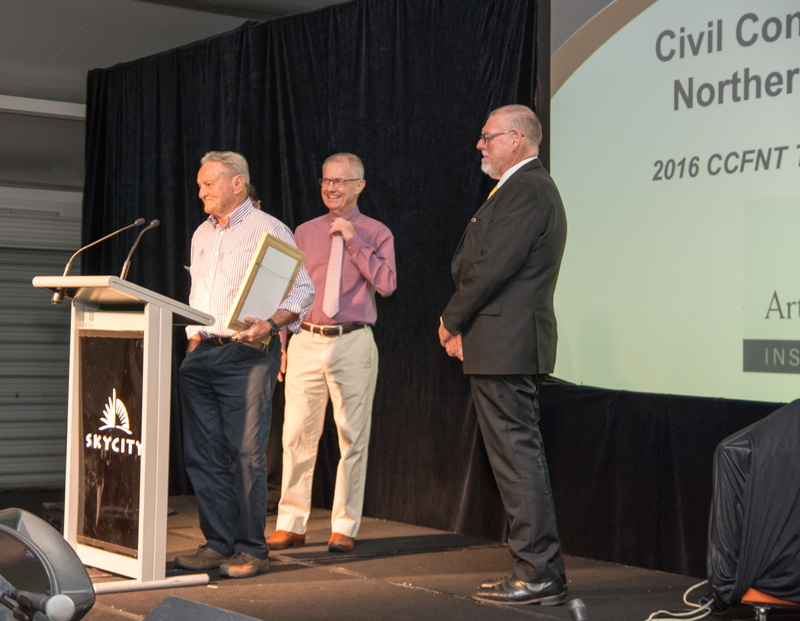 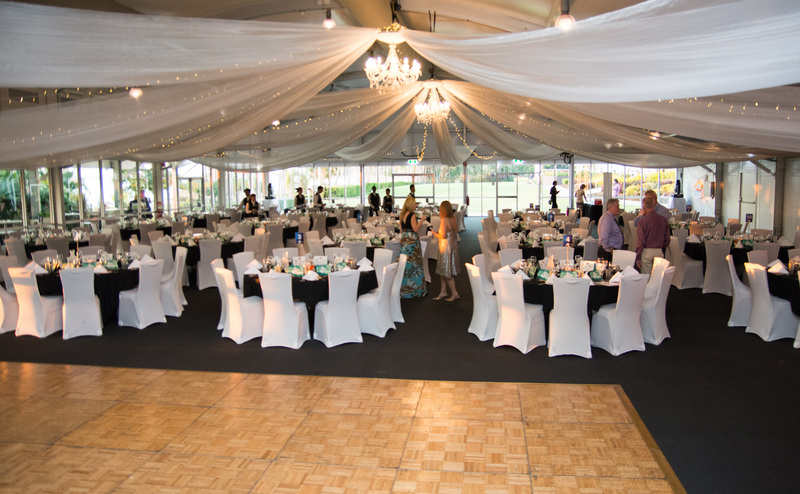 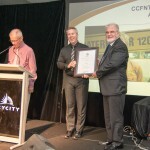 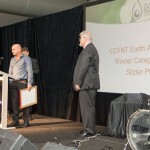 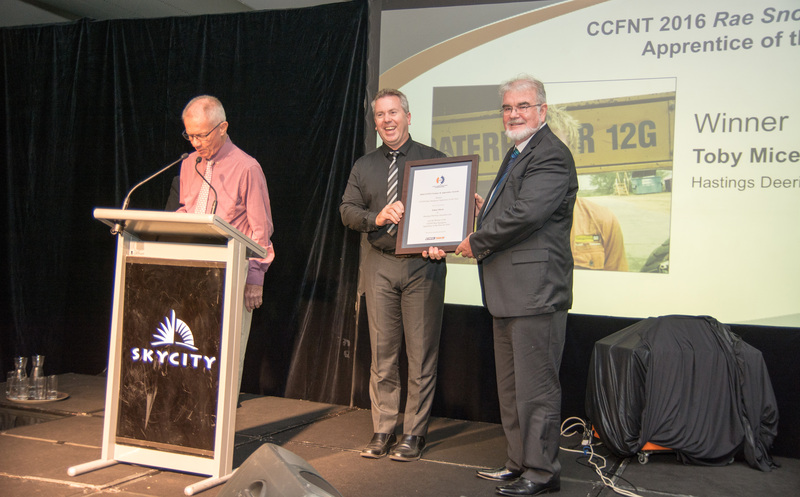 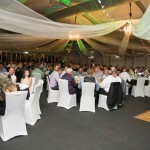 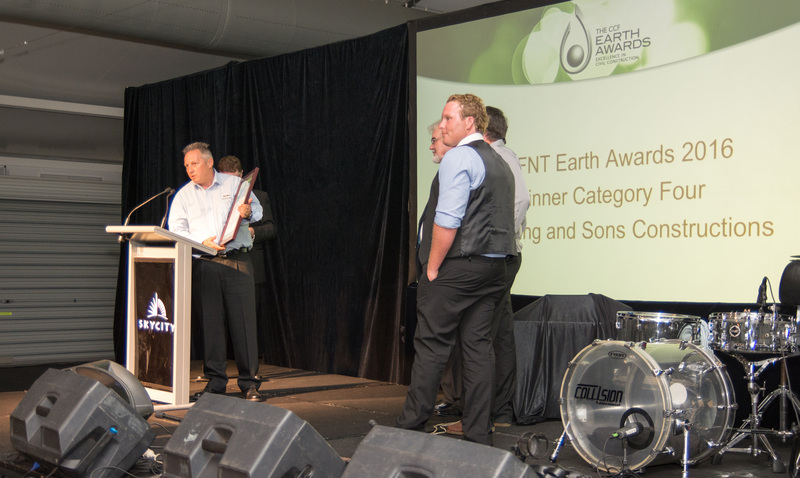 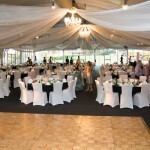 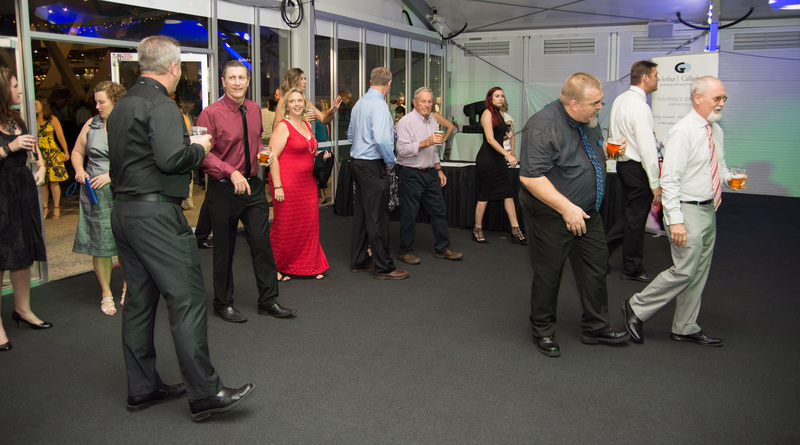 The CCFNT conducted its Annual Gala Dinner at the Darwin Skycity Casino in the Beachside Pavilion on Friday night the 24th of June, 2016. 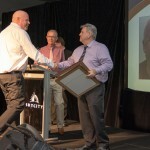 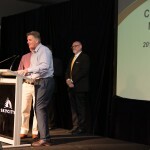 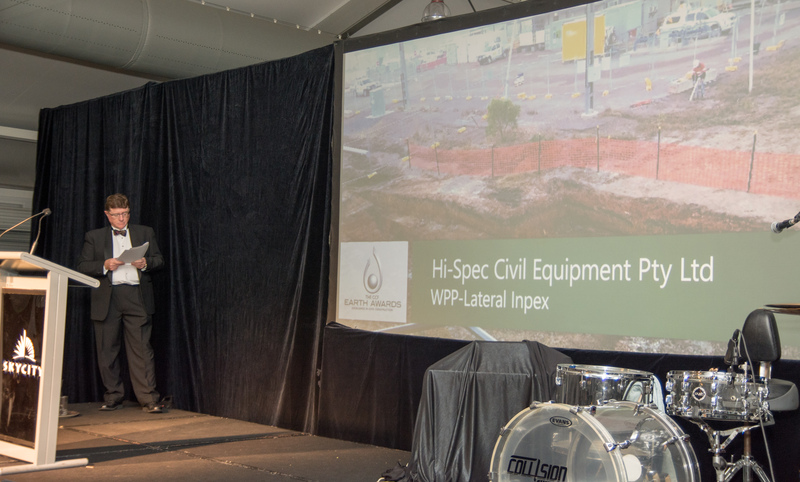 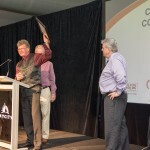 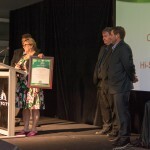 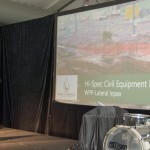 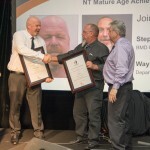 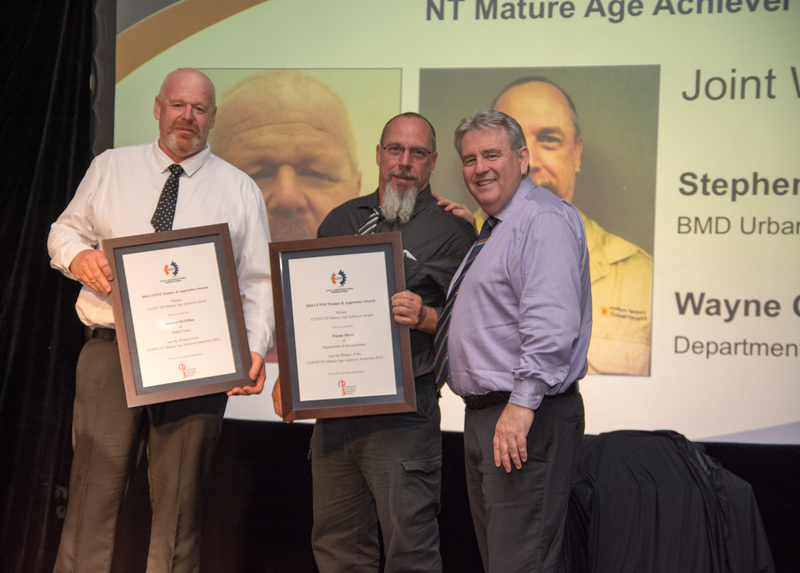 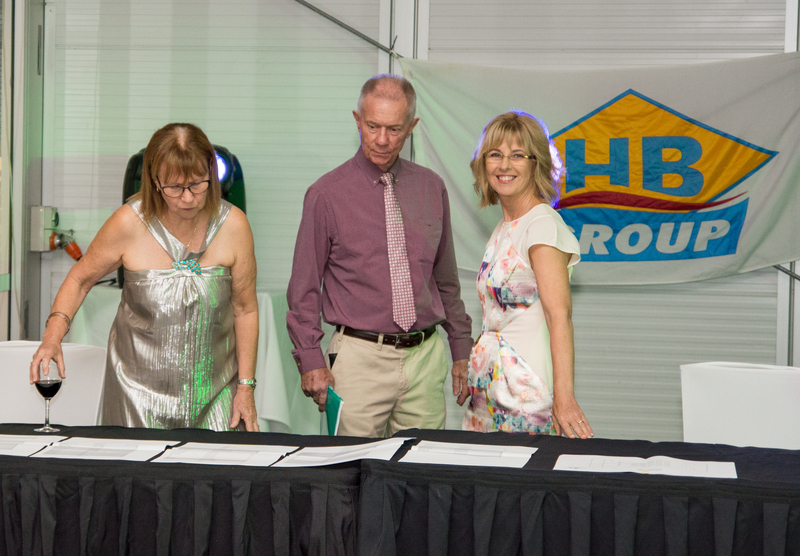 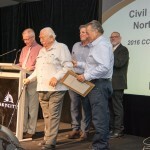 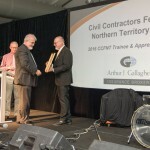 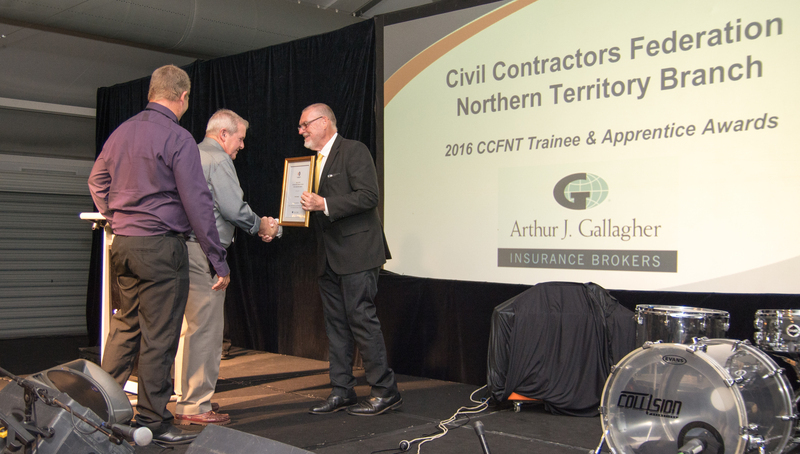 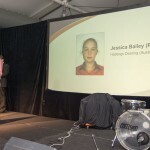 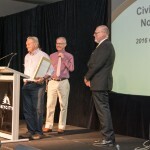 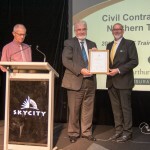 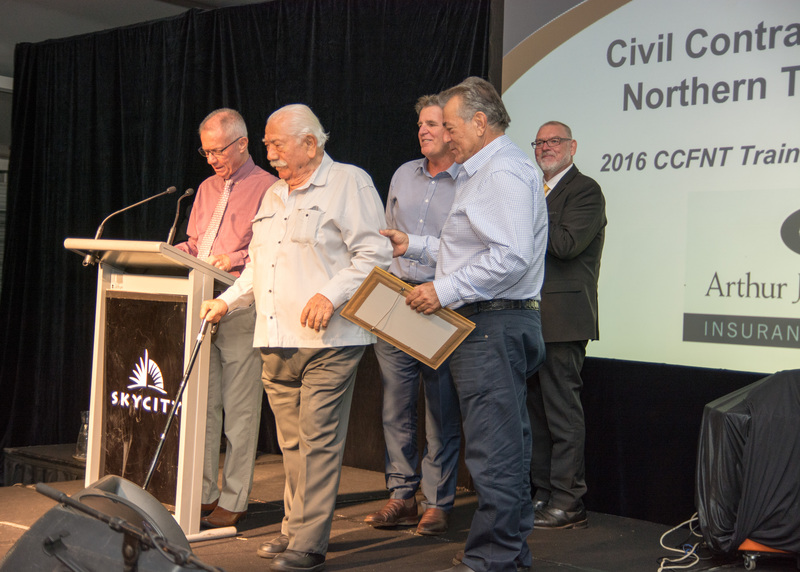 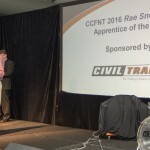 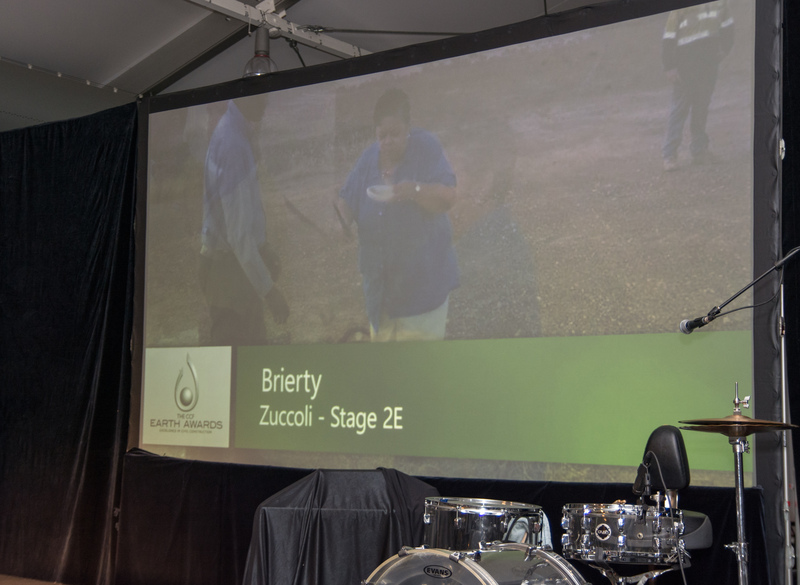 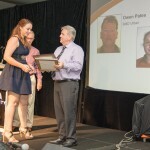 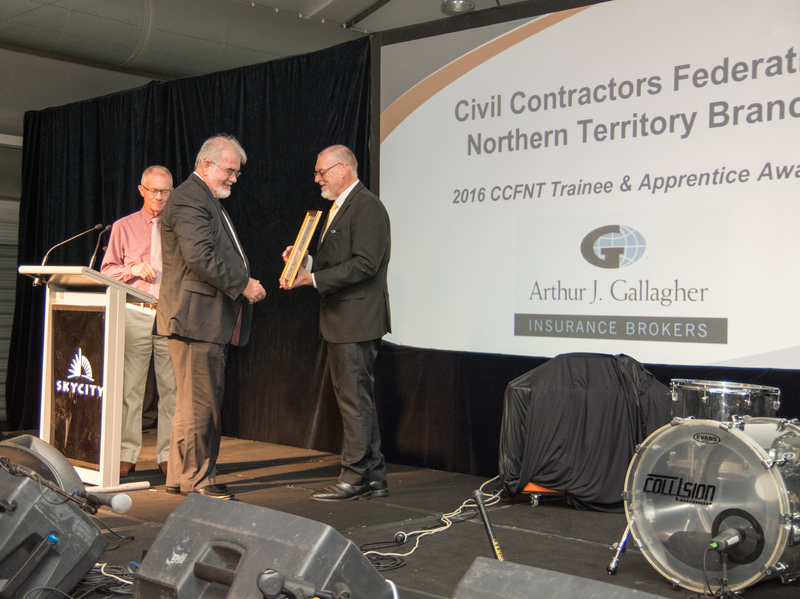 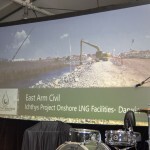 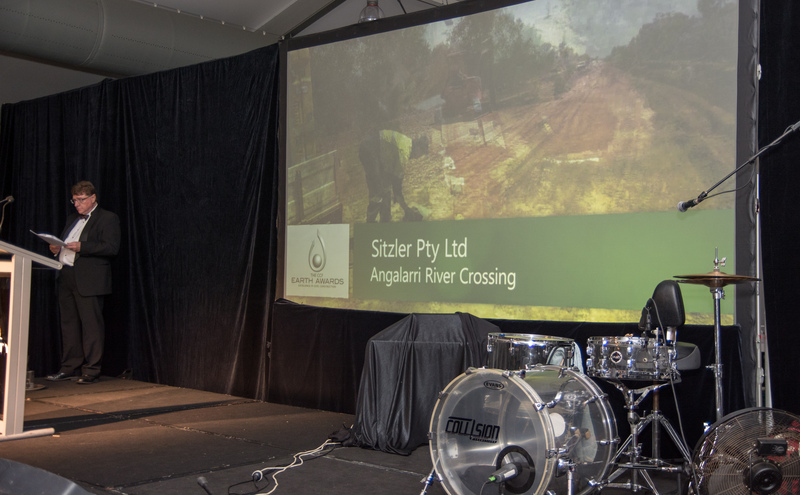 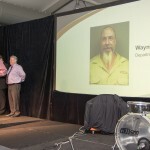 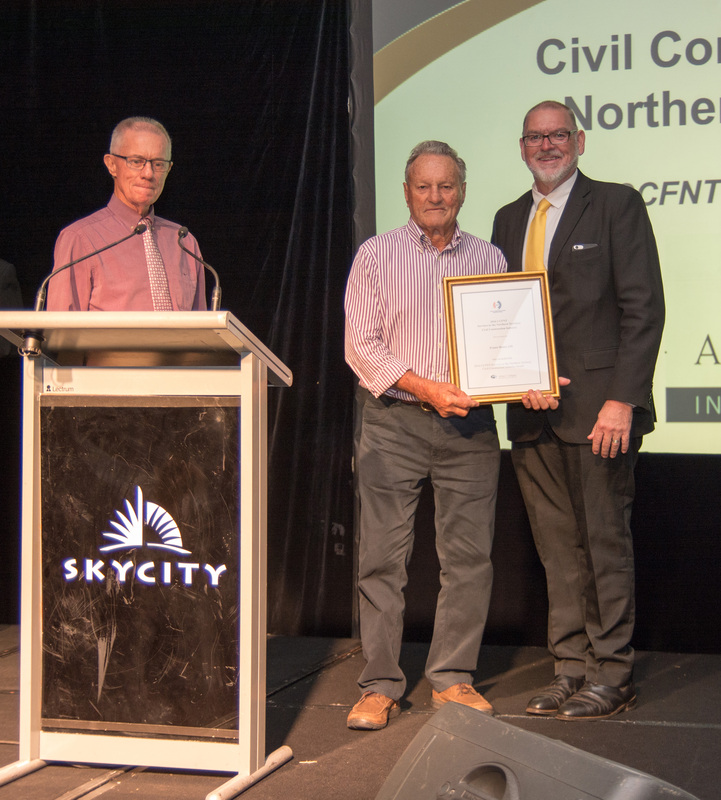 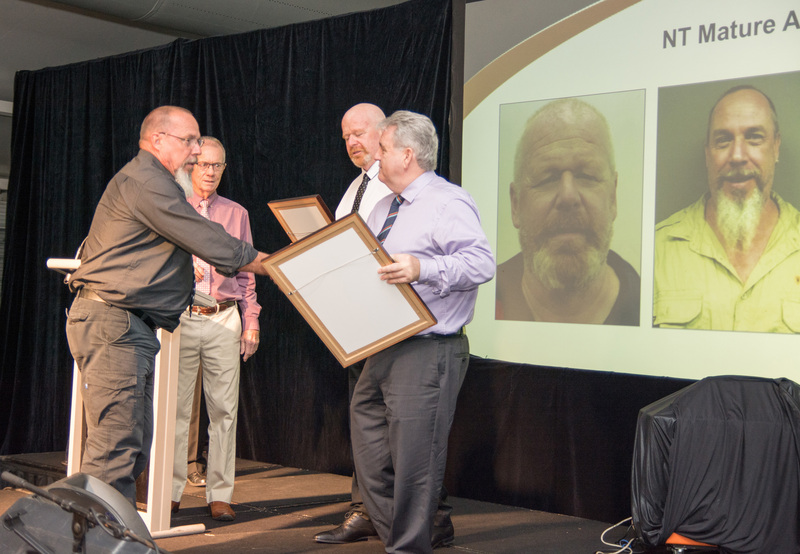 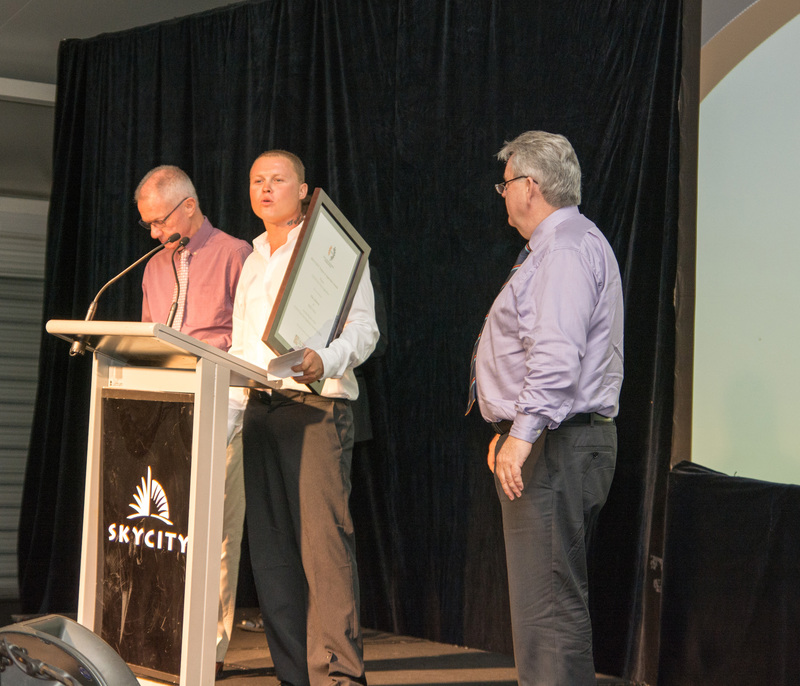 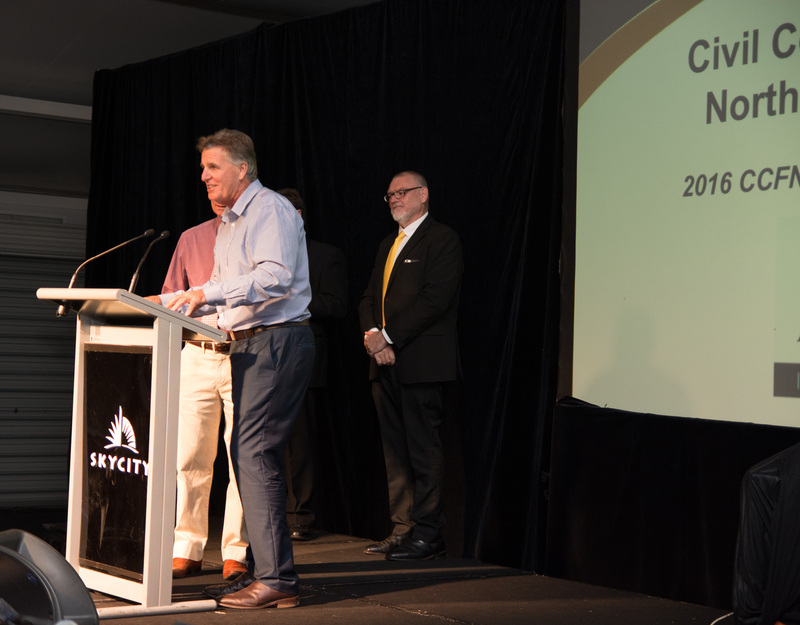 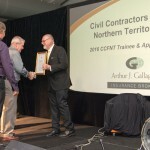 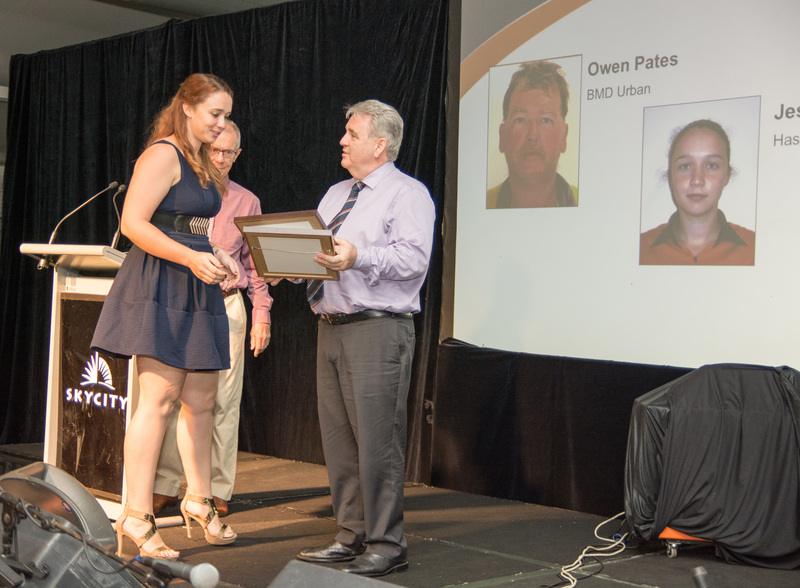 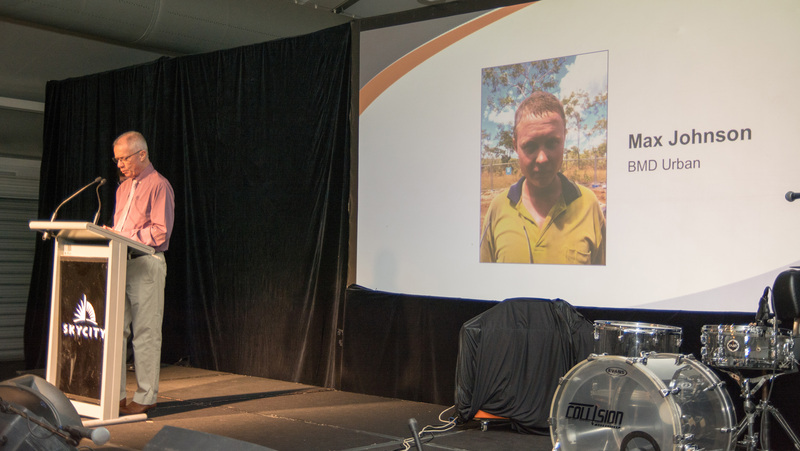 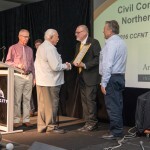 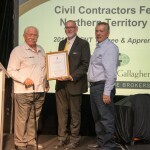 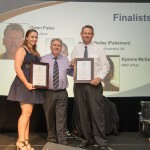 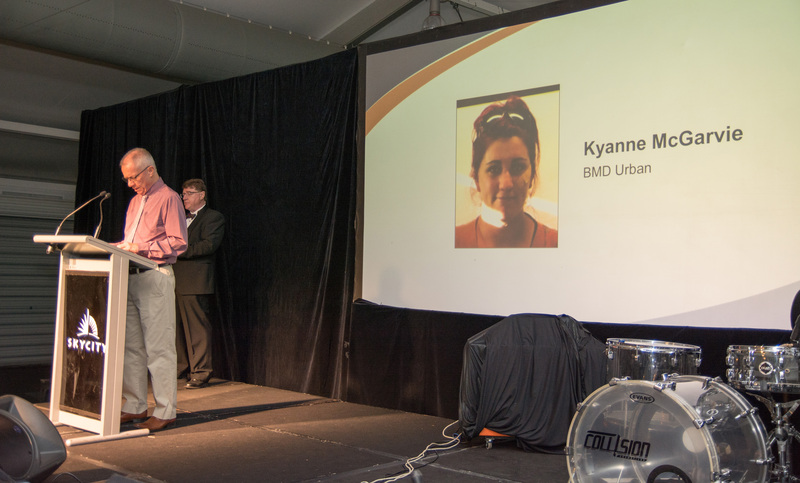 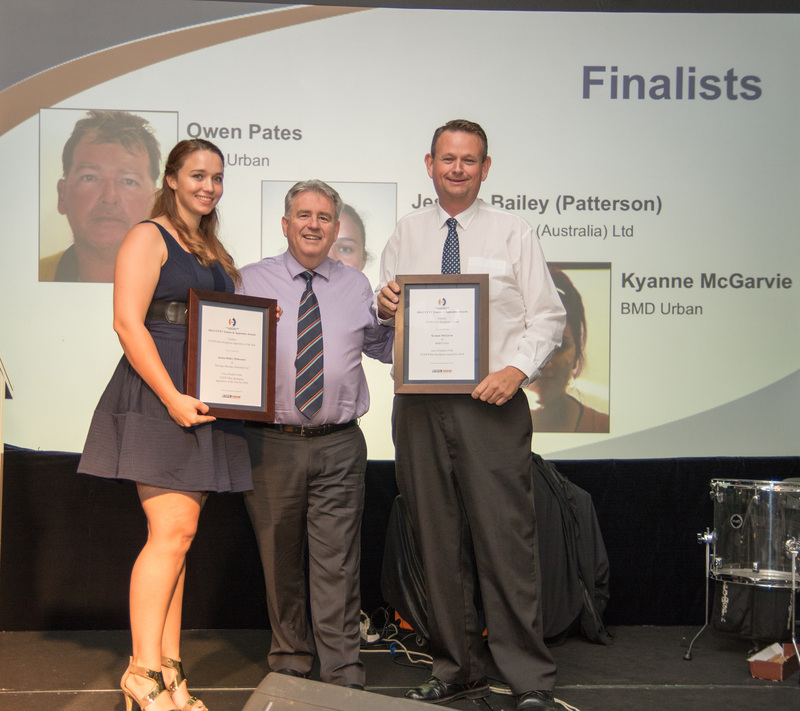 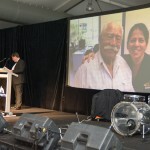 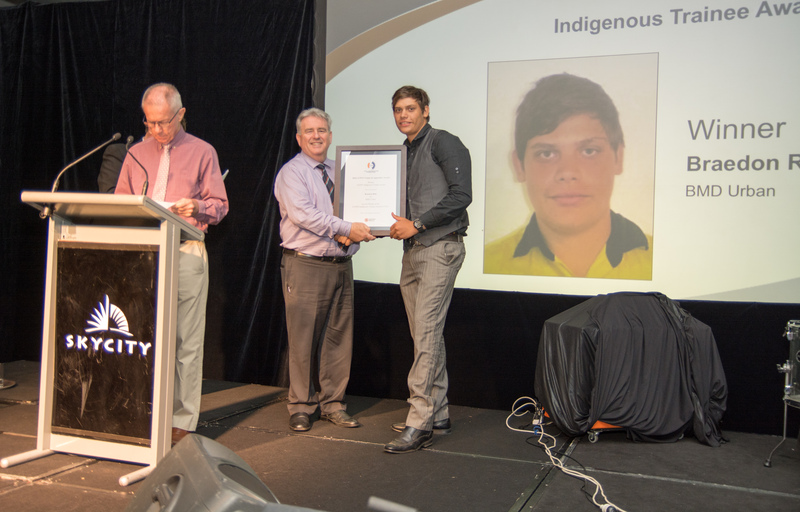 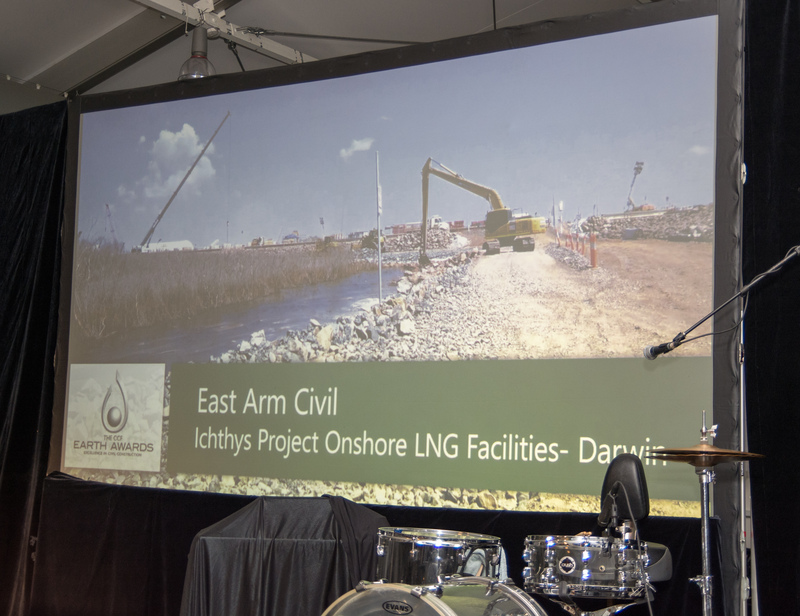 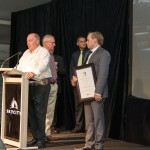 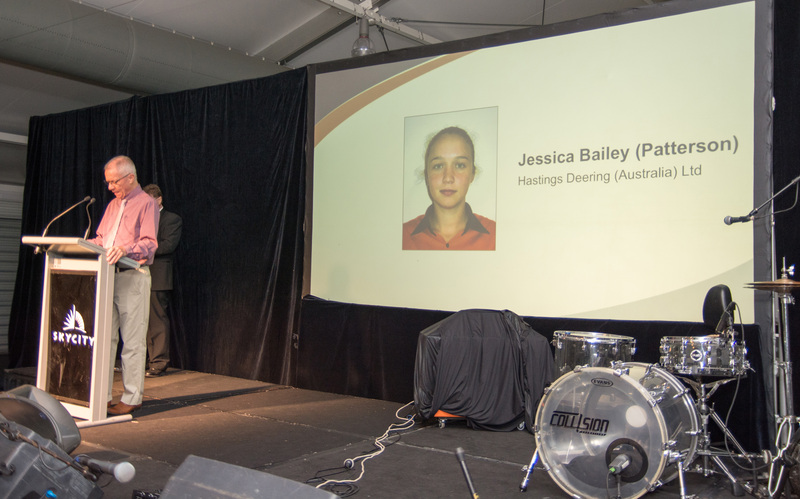 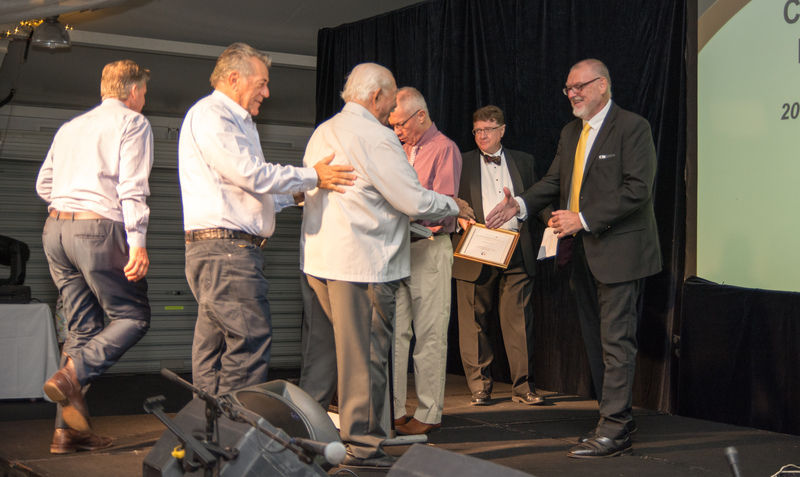 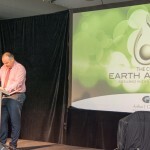 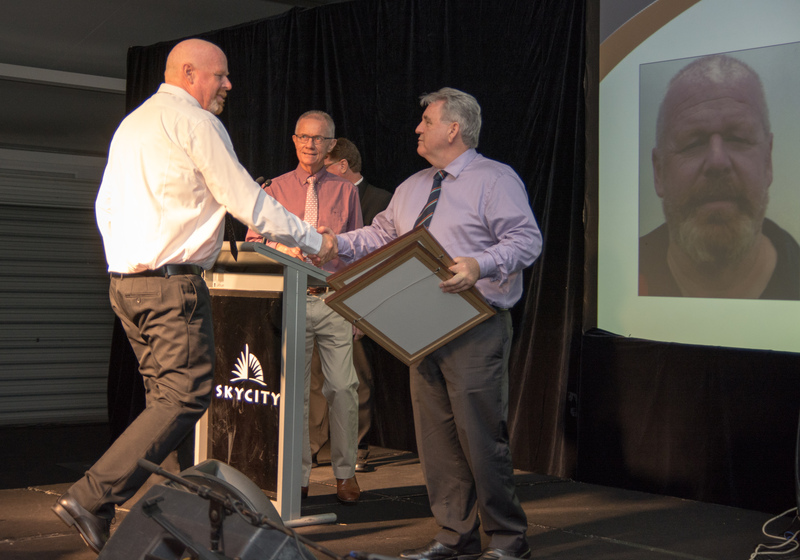 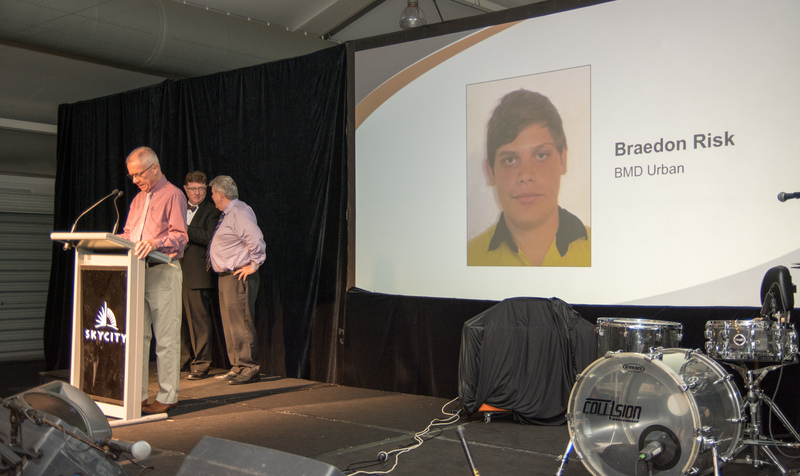 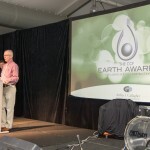 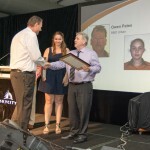 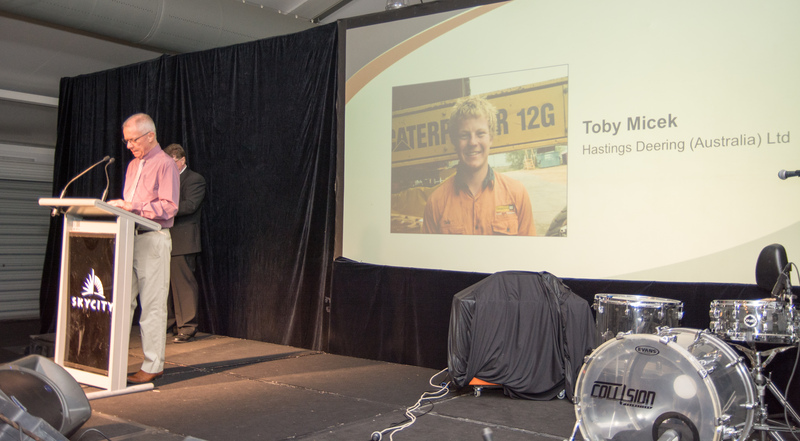 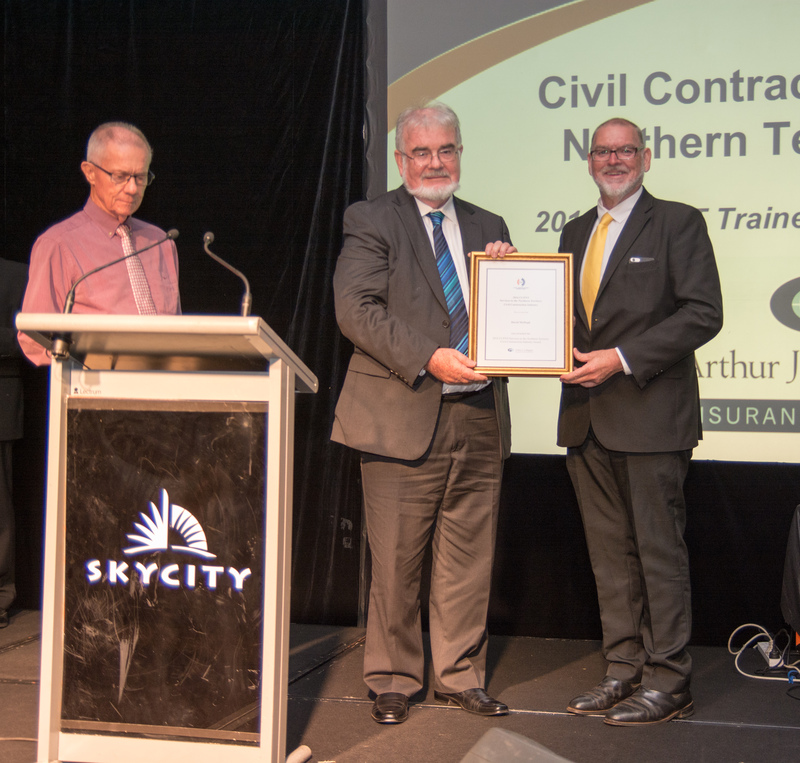 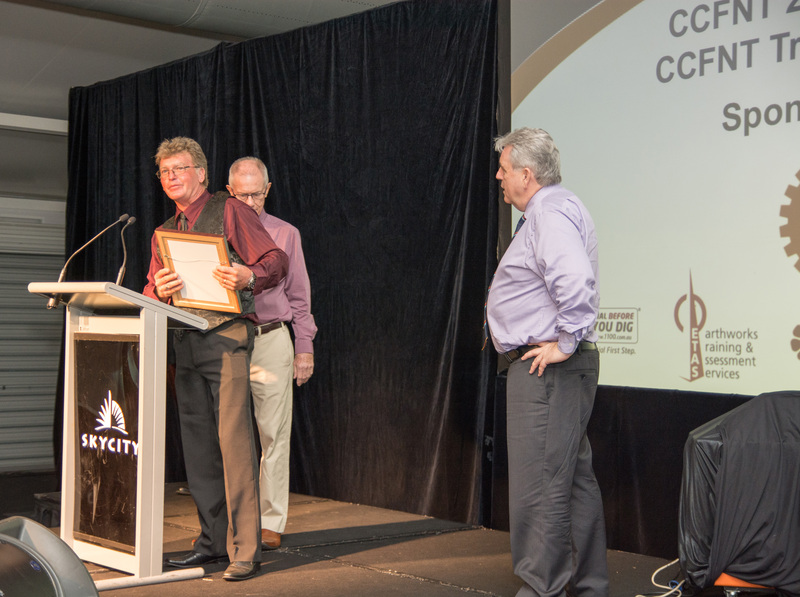 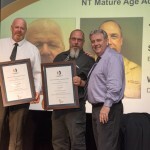 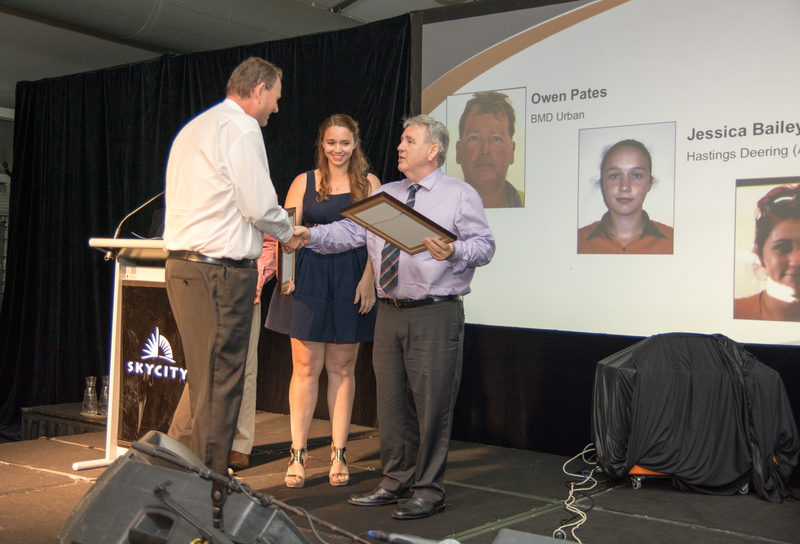 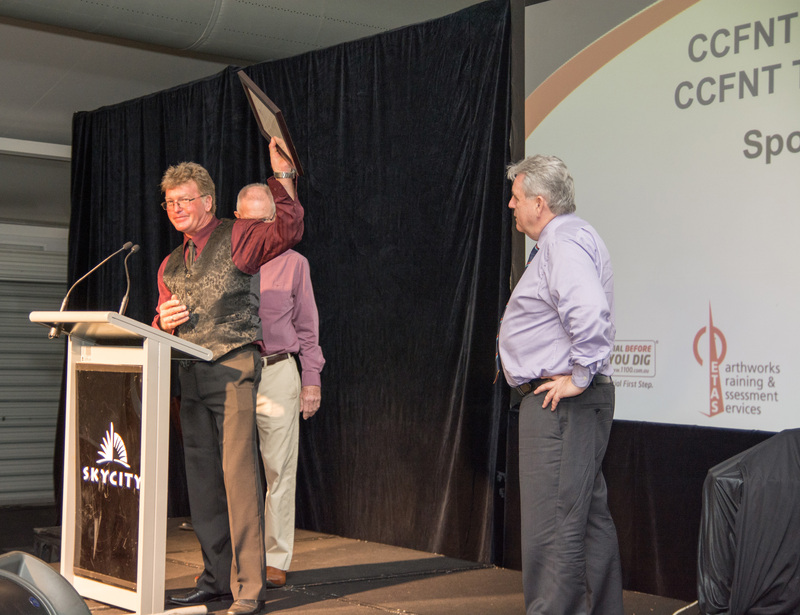 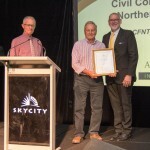 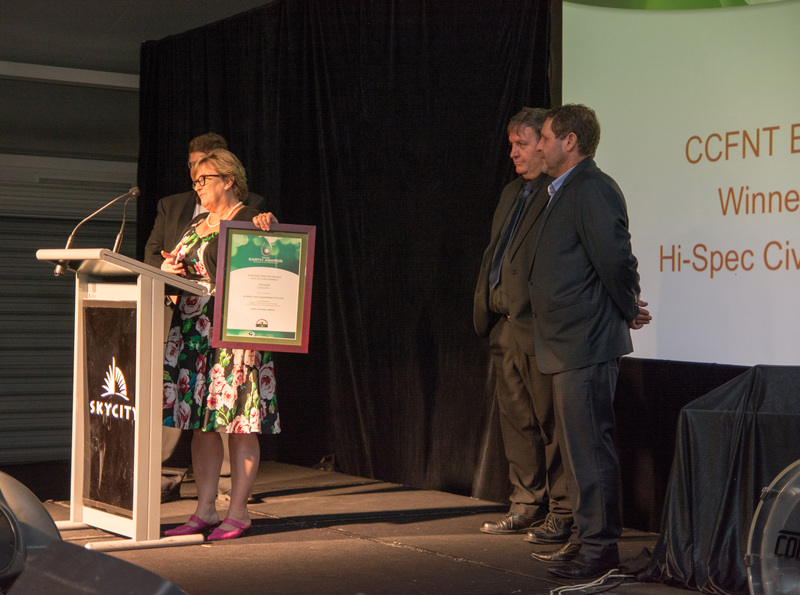 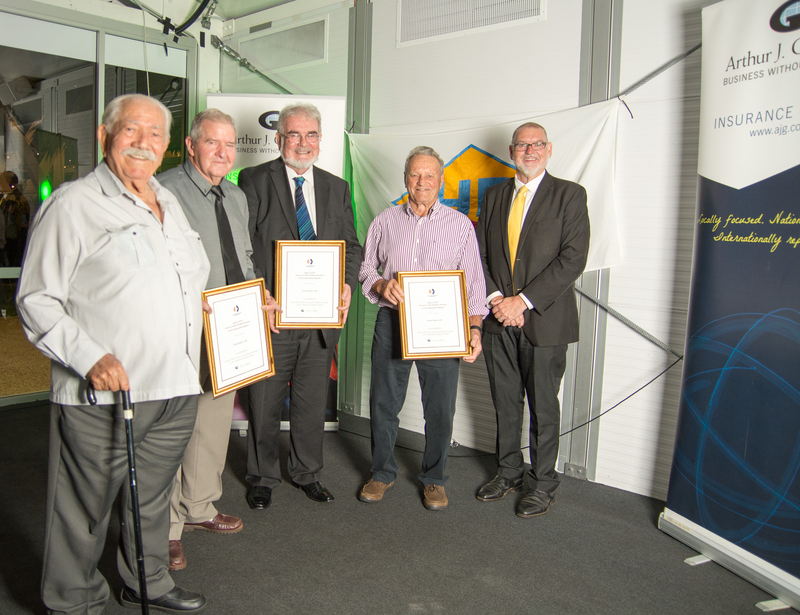 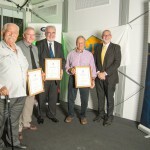 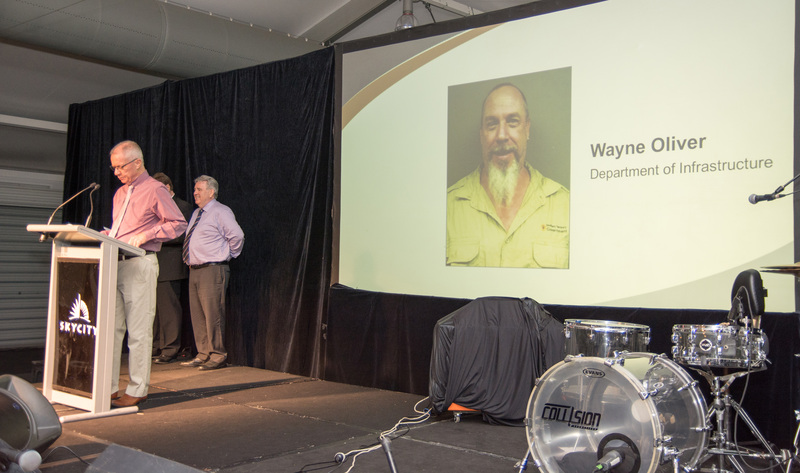 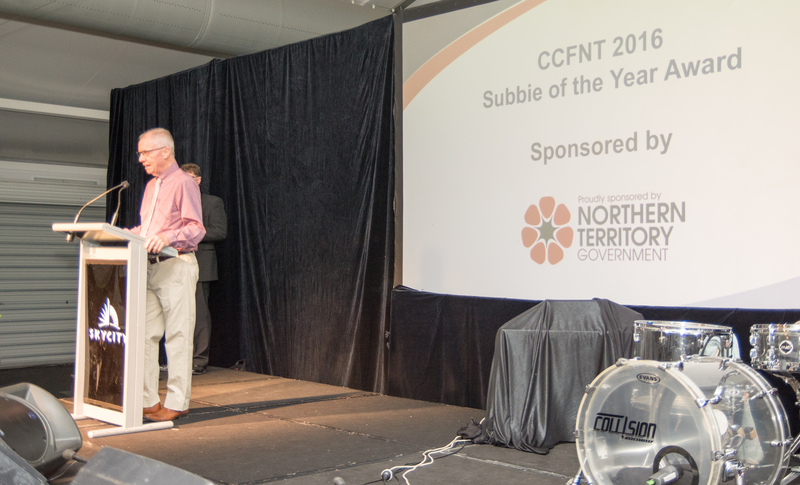 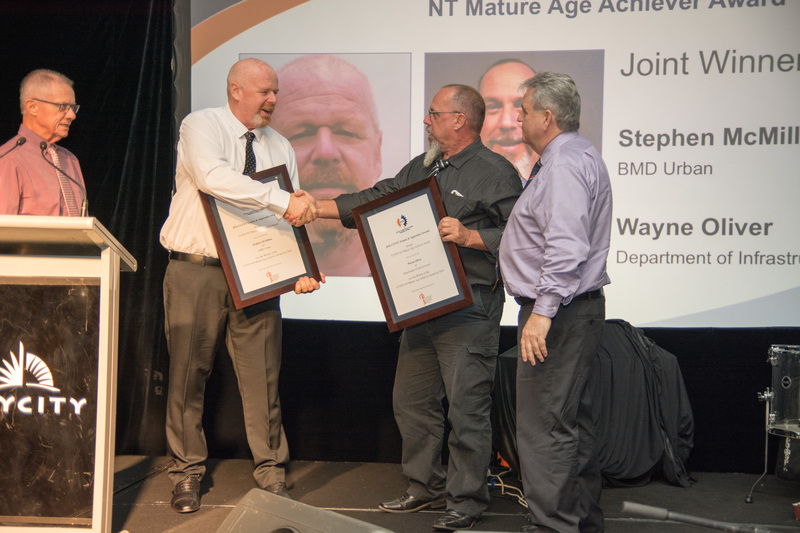 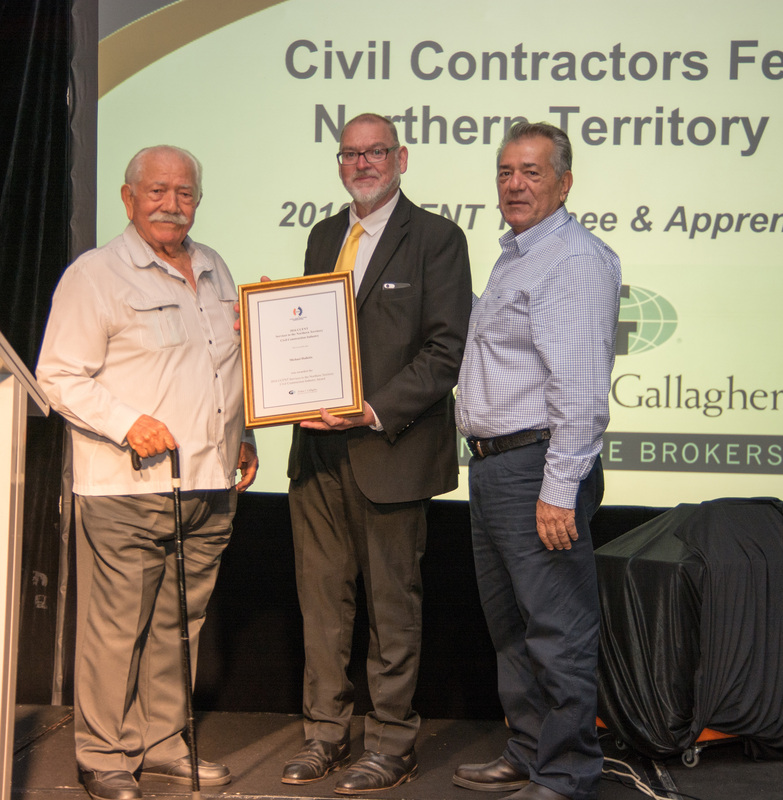 Minister Chandler was on hand to welcome four inductees into our Hall of Fame for Services to the Northern Territory Civil Construction Industry. 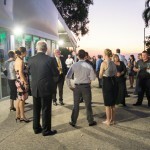 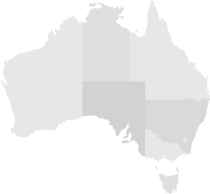 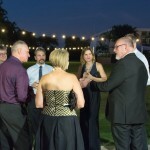 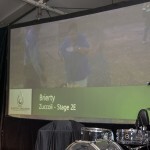 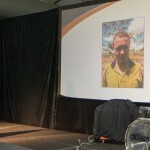 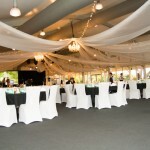 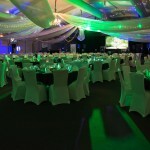 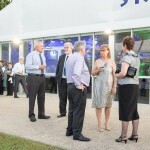 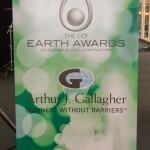 This was the Federation’s inaugural staging of this event. 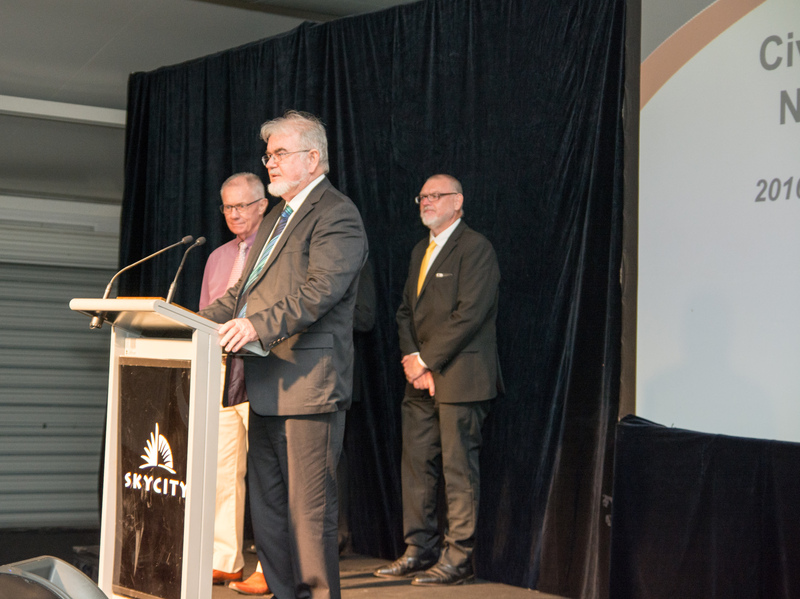 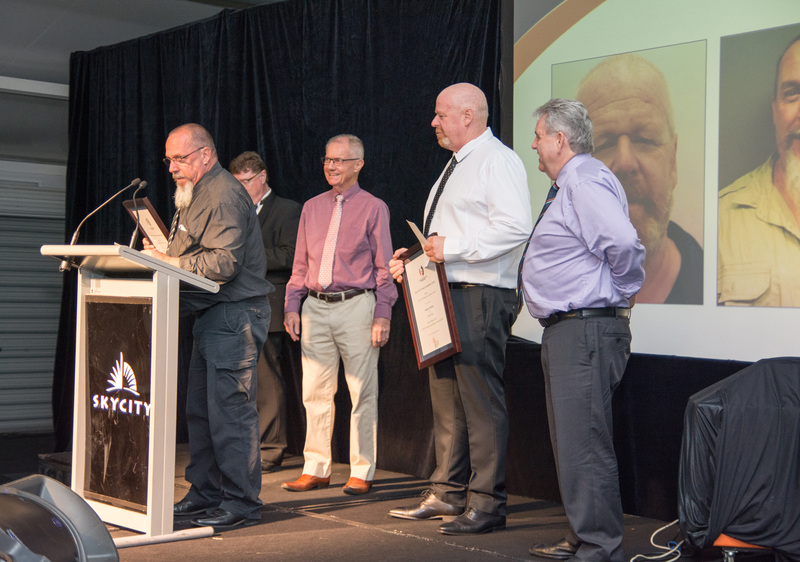 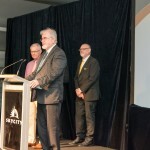 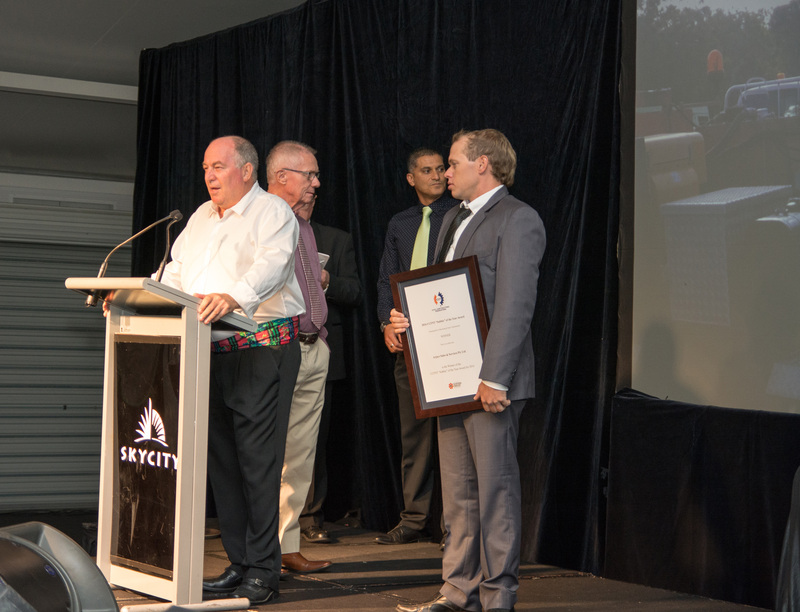 Michael Halkitis, Fraser Henry, Peter Hassall and Dave McHugh were welcomed to the stage to accept their awards from the Minister for their outstanding contribution to the construction industry. 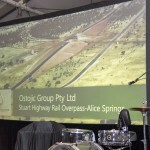 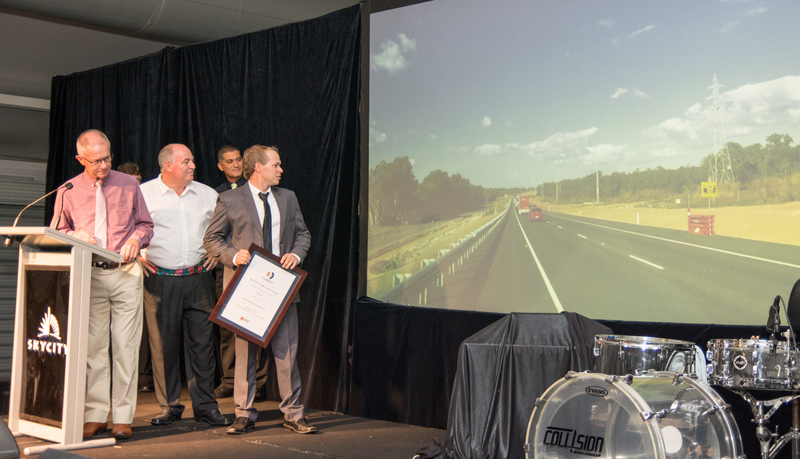 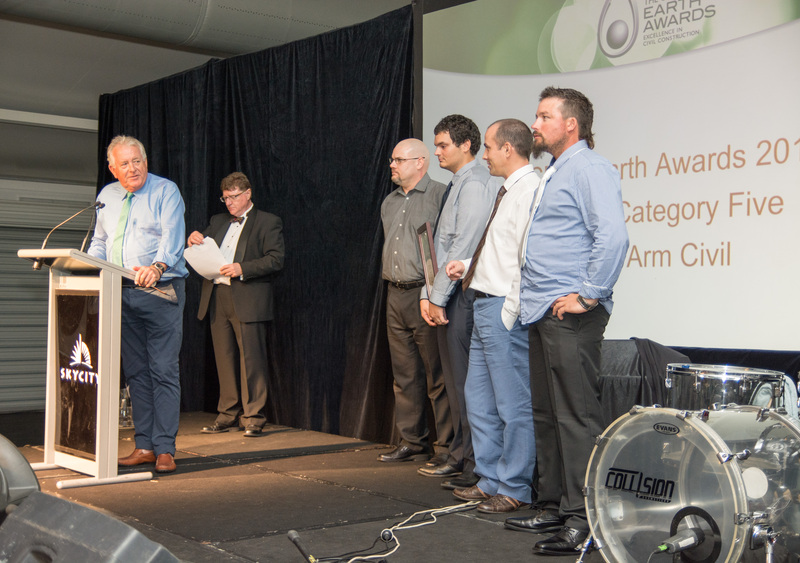 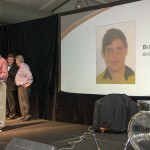 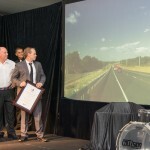 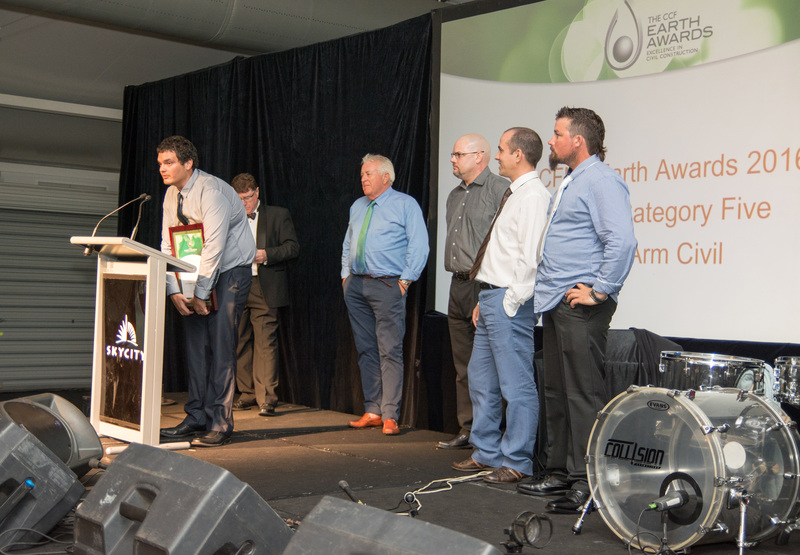 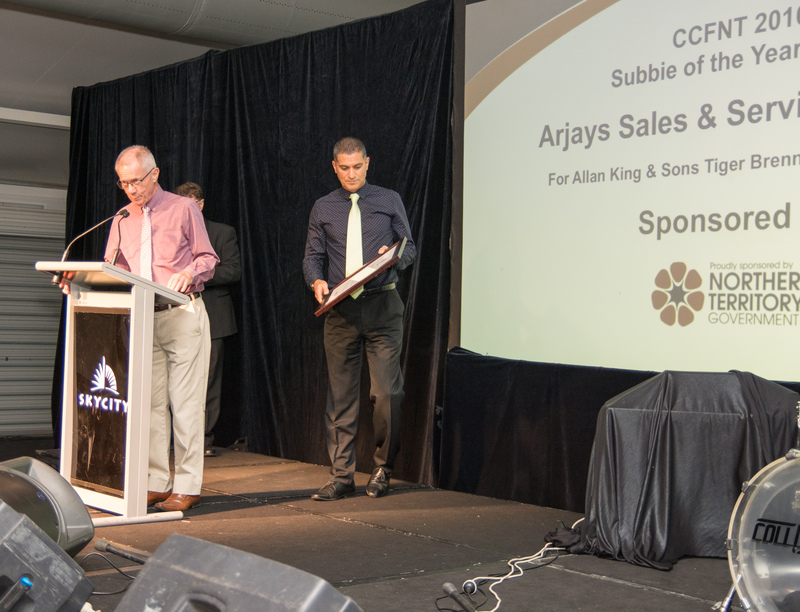 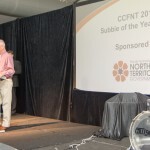 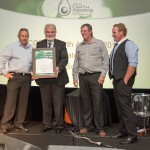 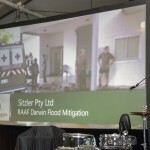 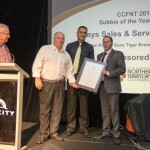 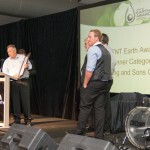 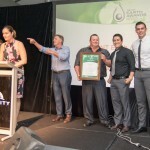 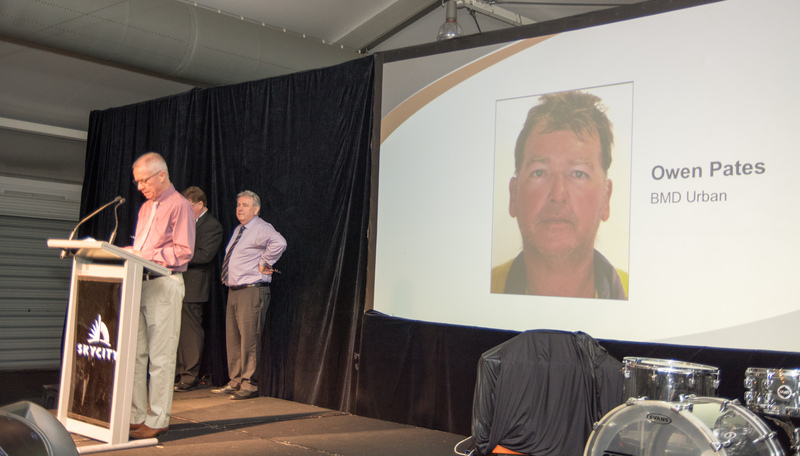 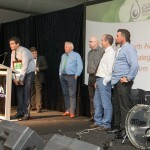 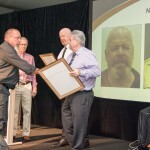 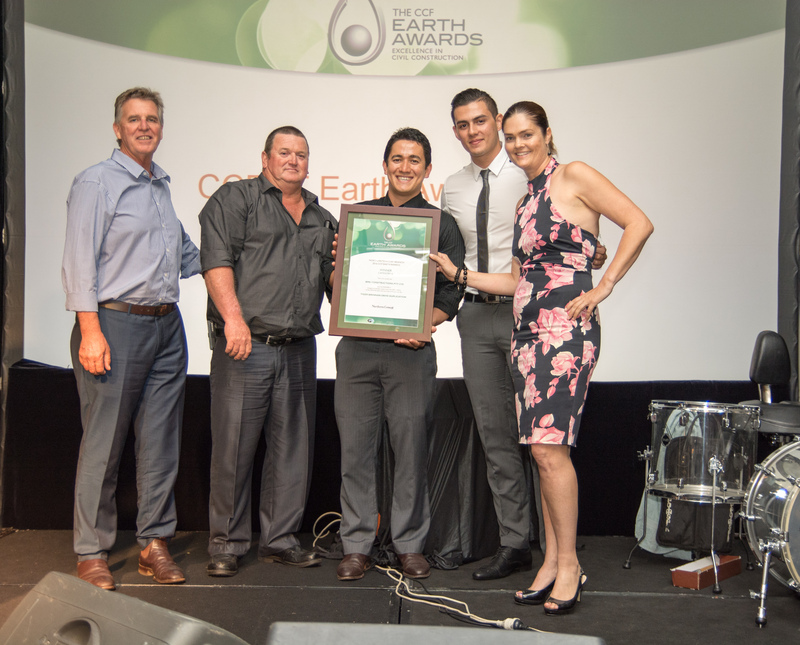 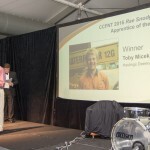 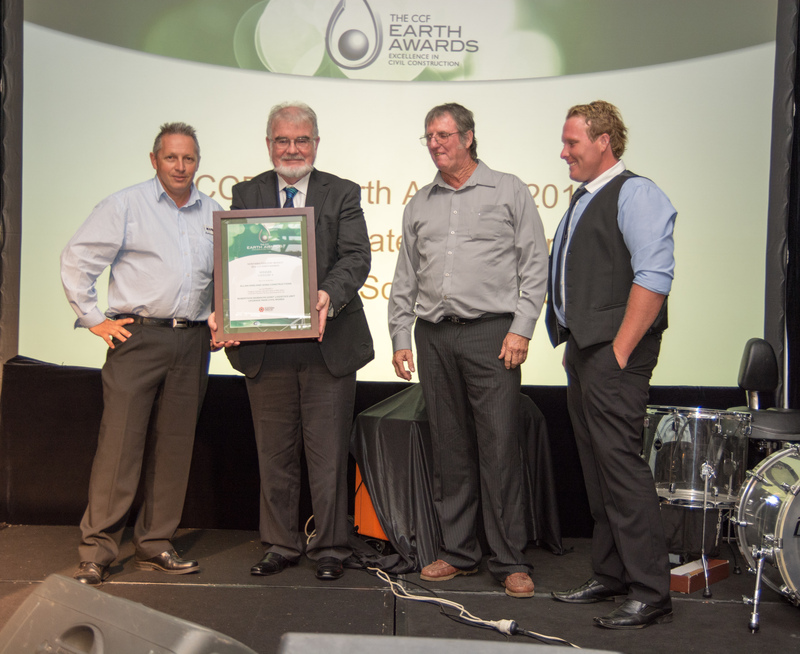 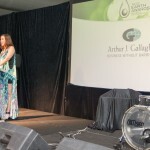 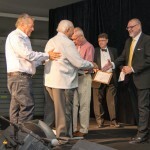 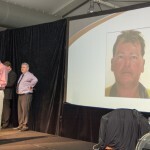 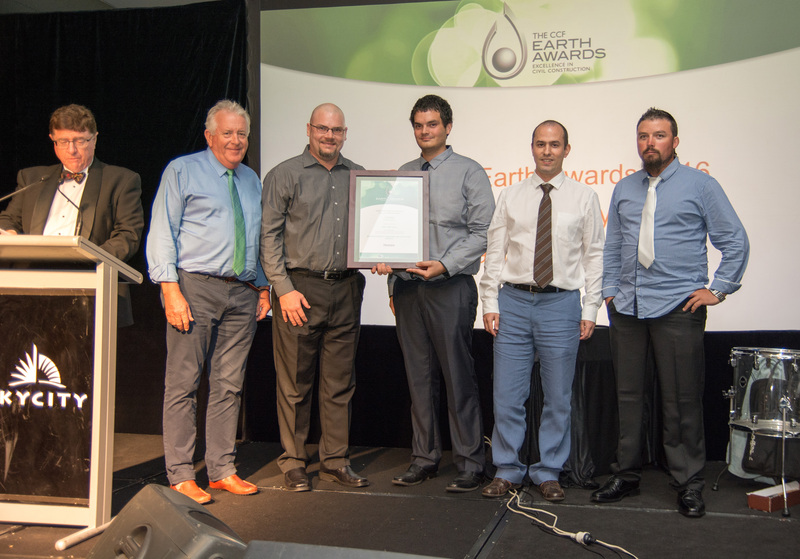 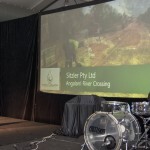 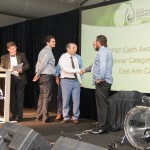 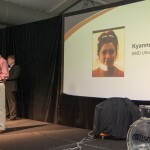 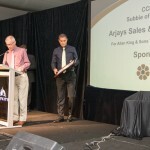 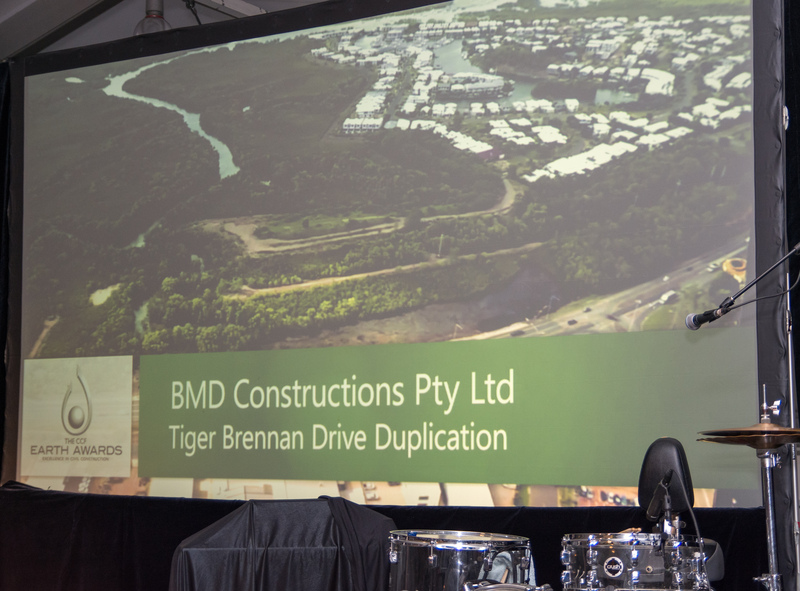 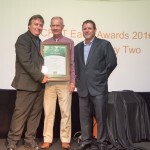 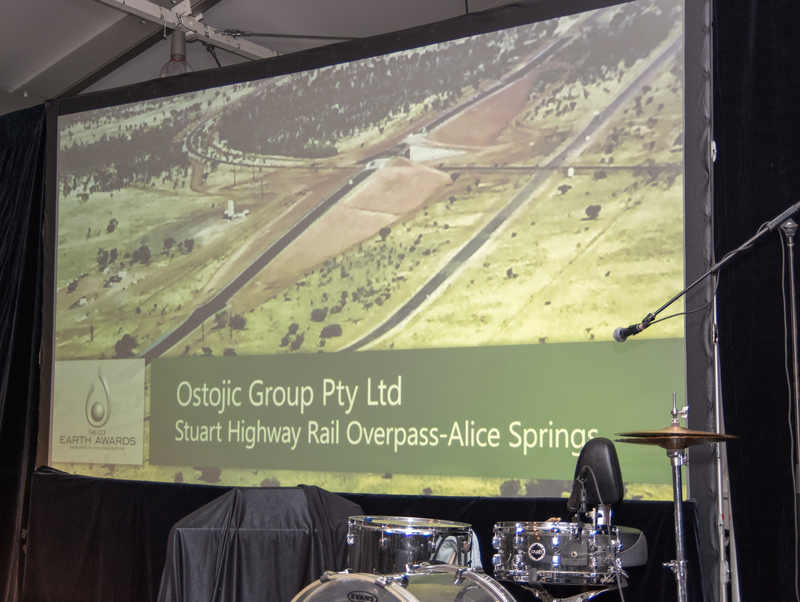 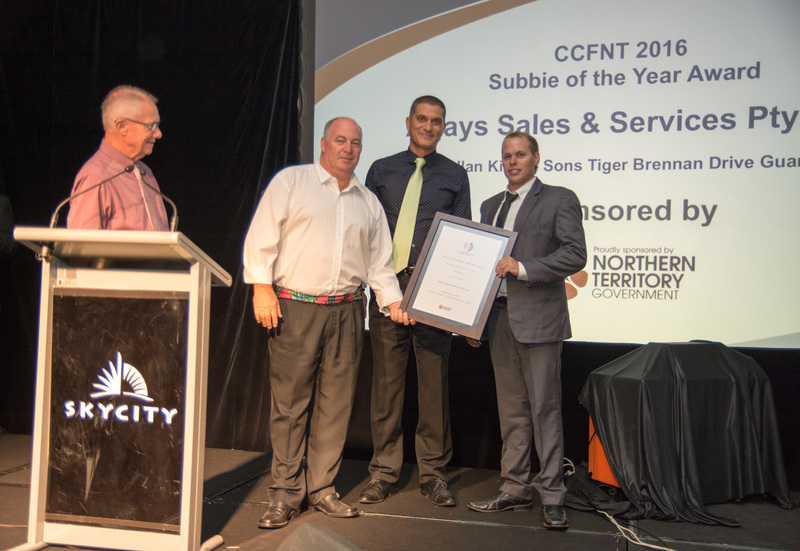 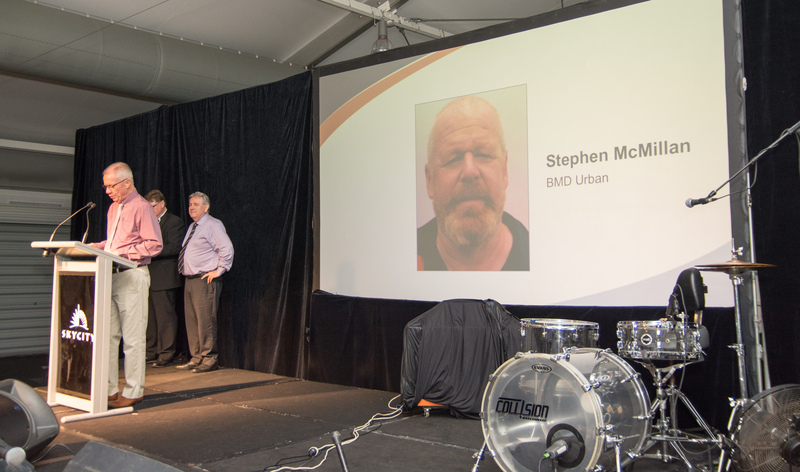 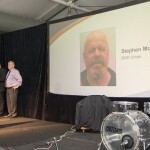 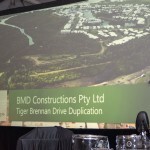 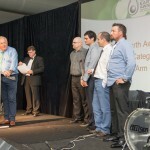 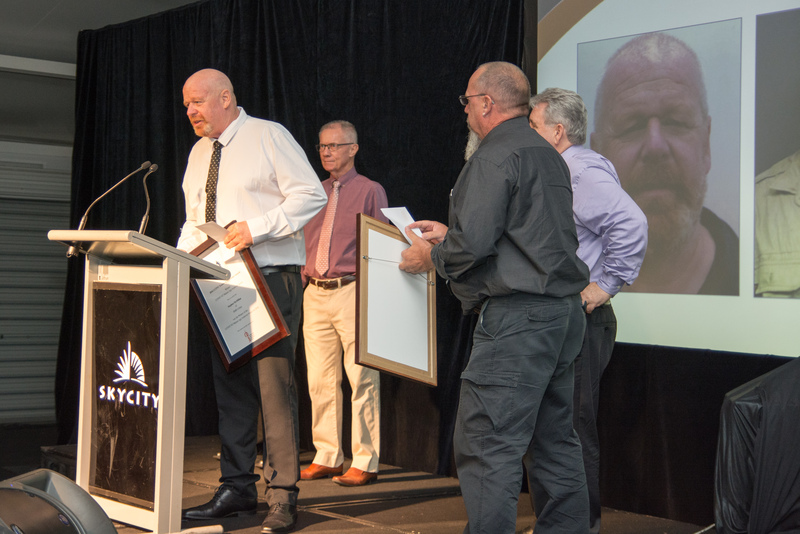 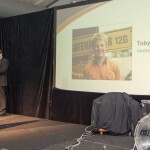 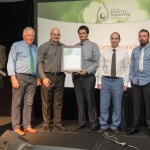 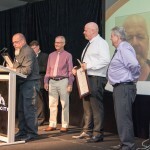 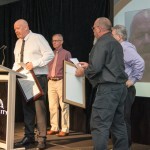 Arjays Sales and Service were awarded the Subbie of the Year, as nominated by Allan King and Sons Constructions, for their Supply and Installation of Guard Rail on the Tiger Brennan Drive Project. 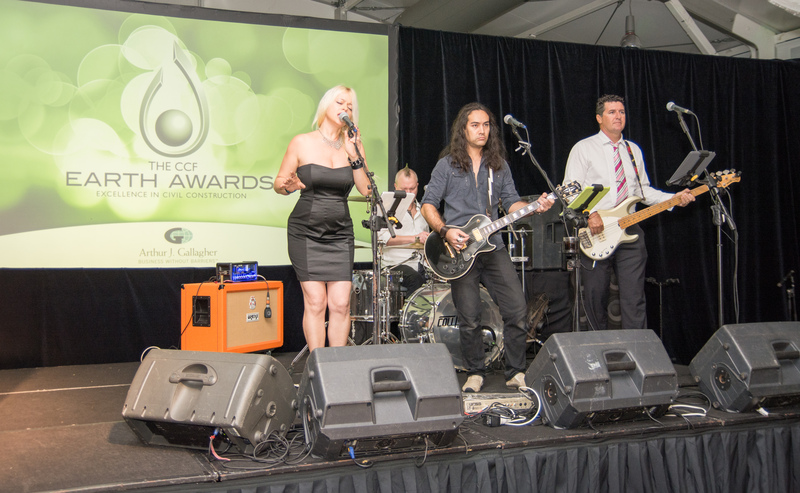 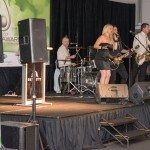 The evening was enjoyed by 230 members, associates and friends with great food and entertainment provided by The Fame Junkies feat. 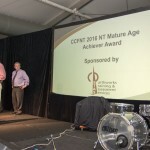 Chrissa Valanti.